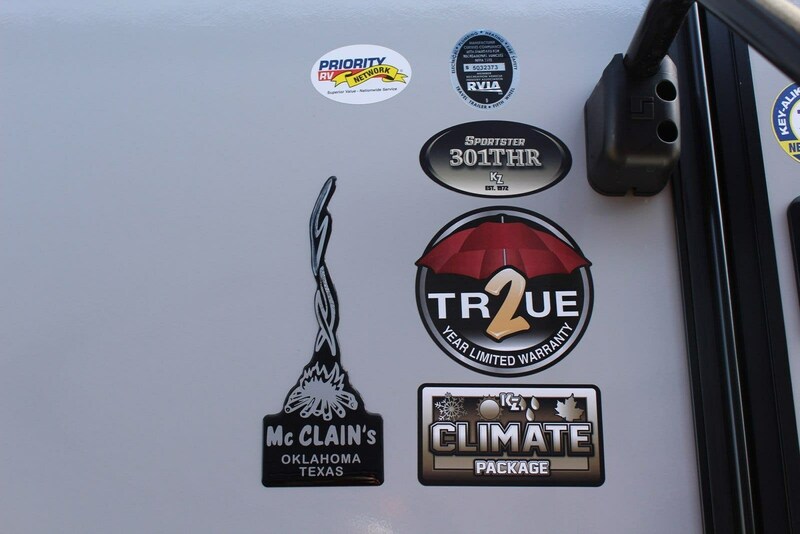 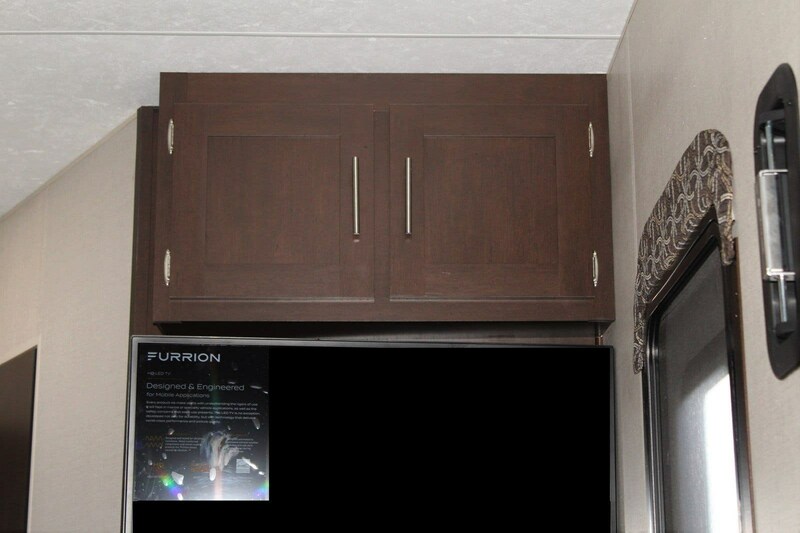 Looking for a travel trailer with a garage that you can not only store your toys in but can also double as a screened in porch? 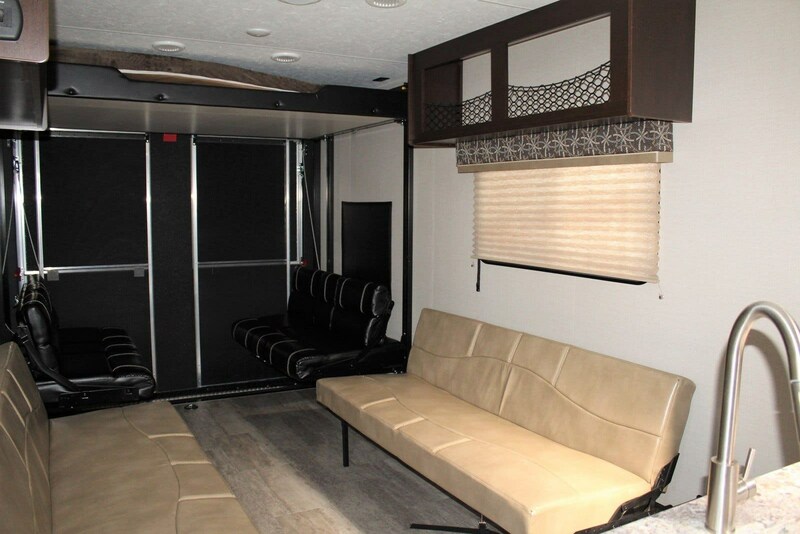 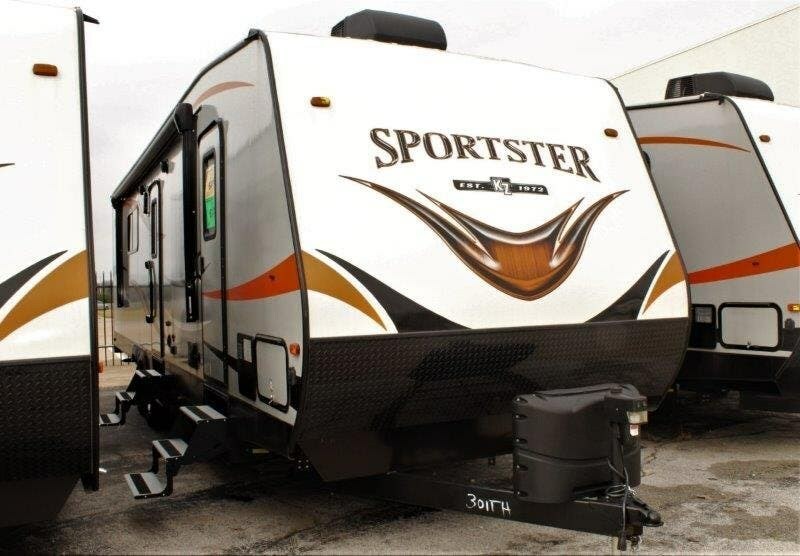 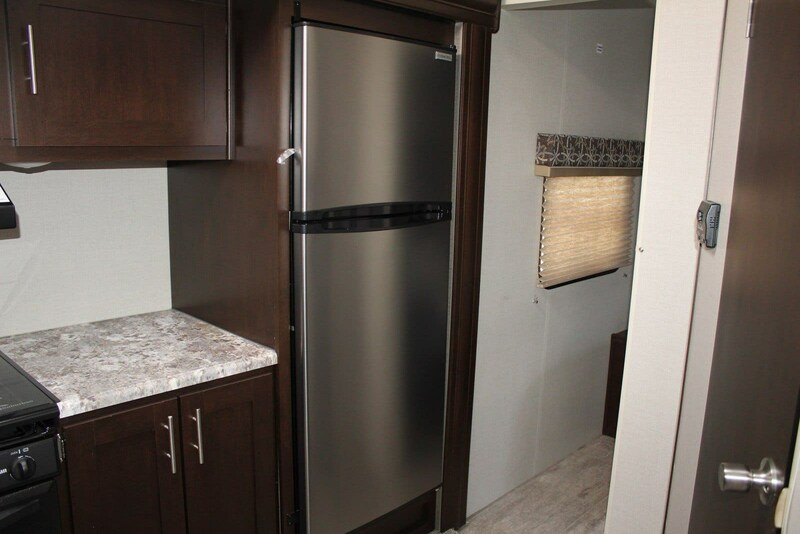 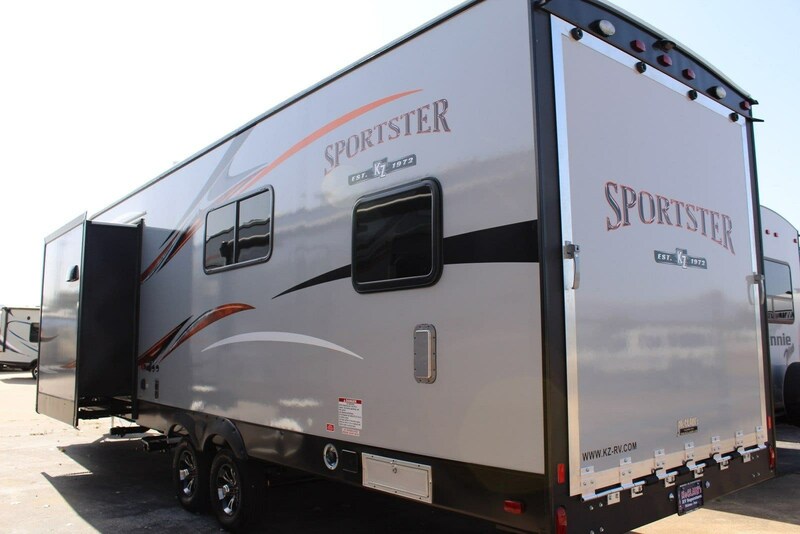 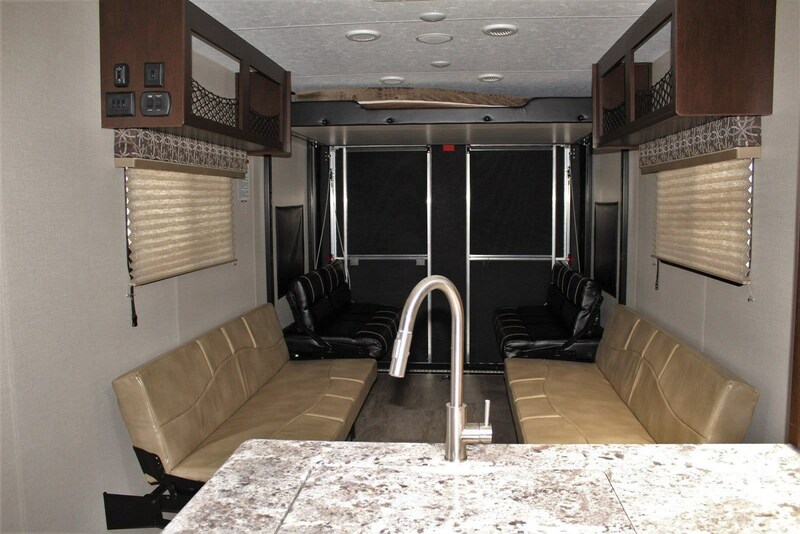 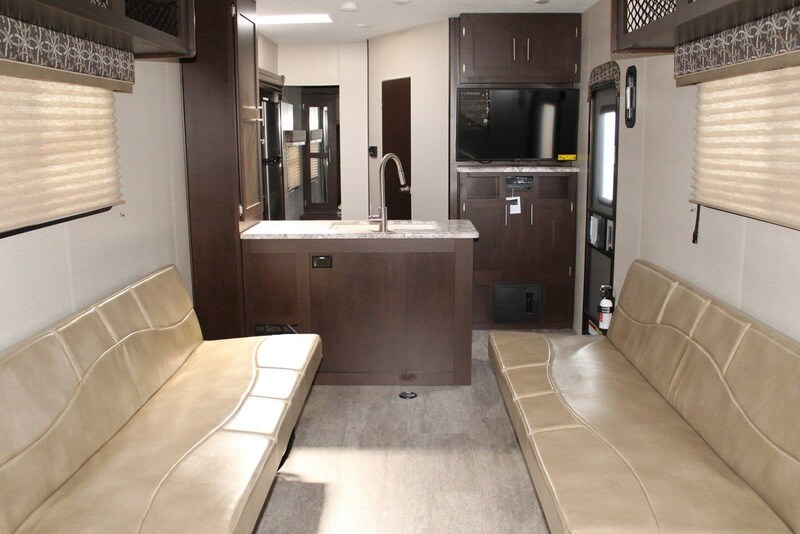 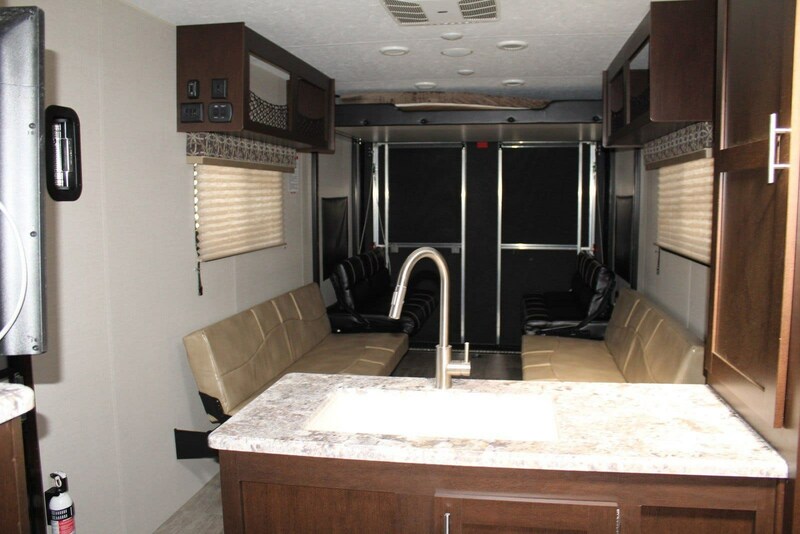 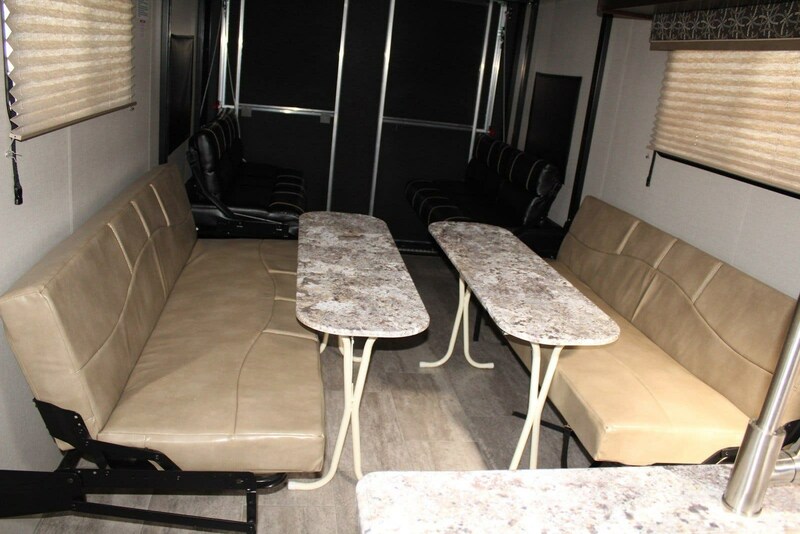 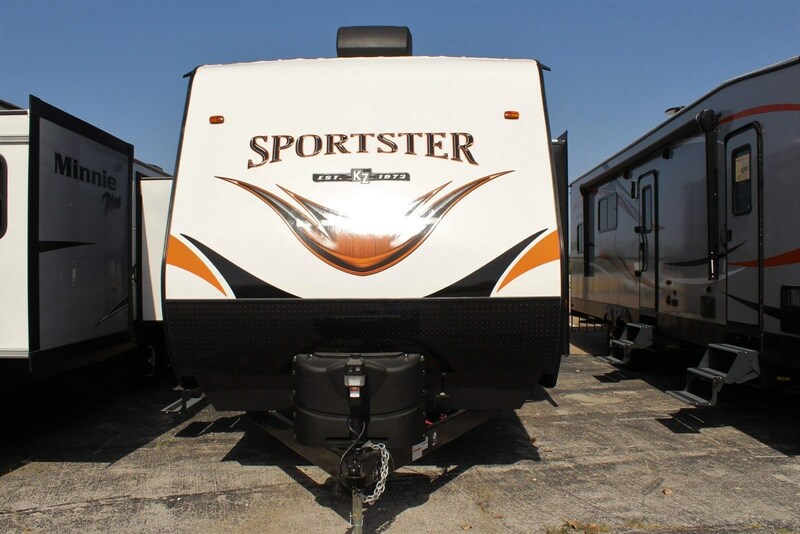 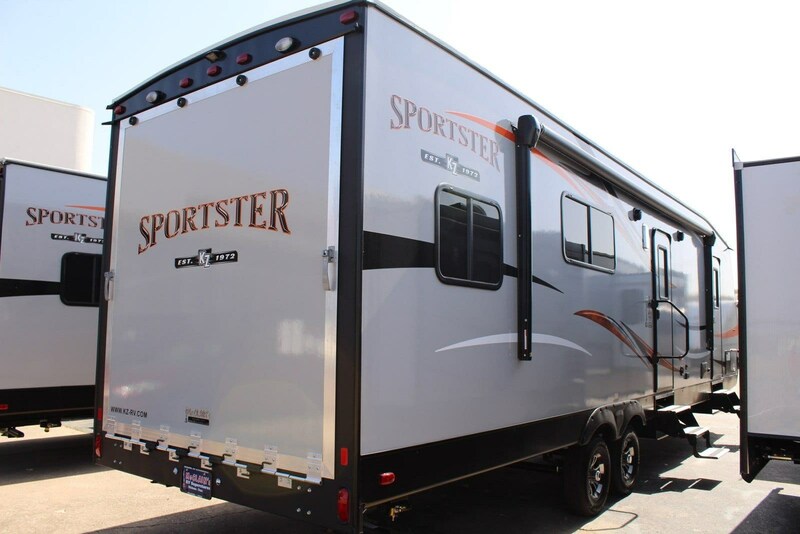 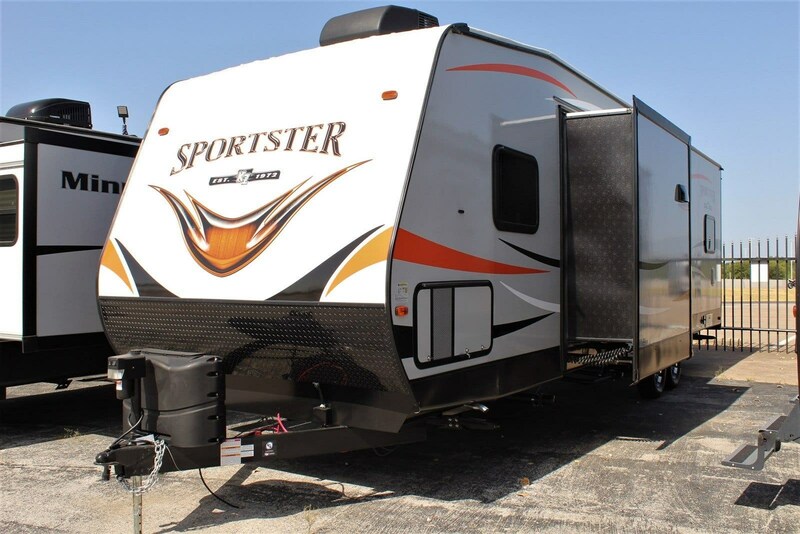 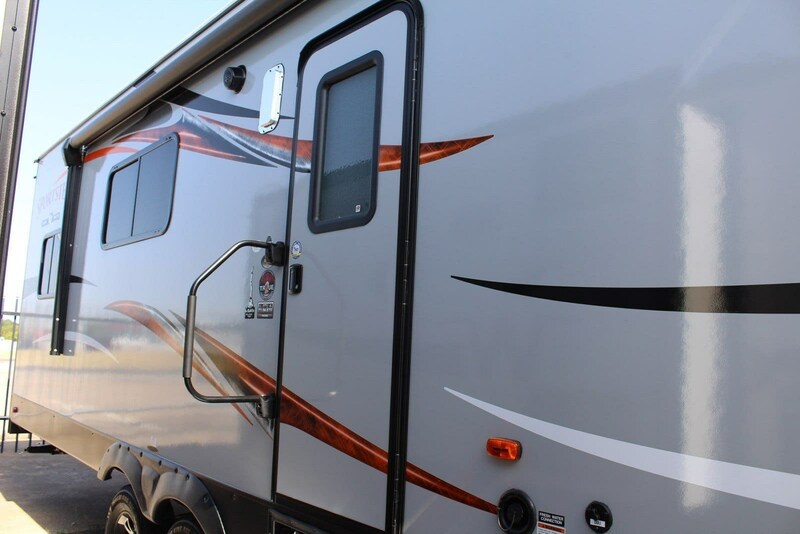 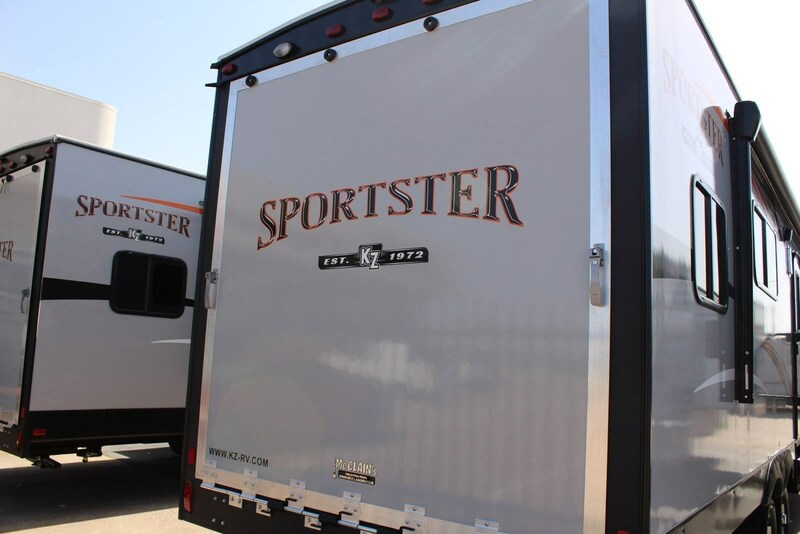 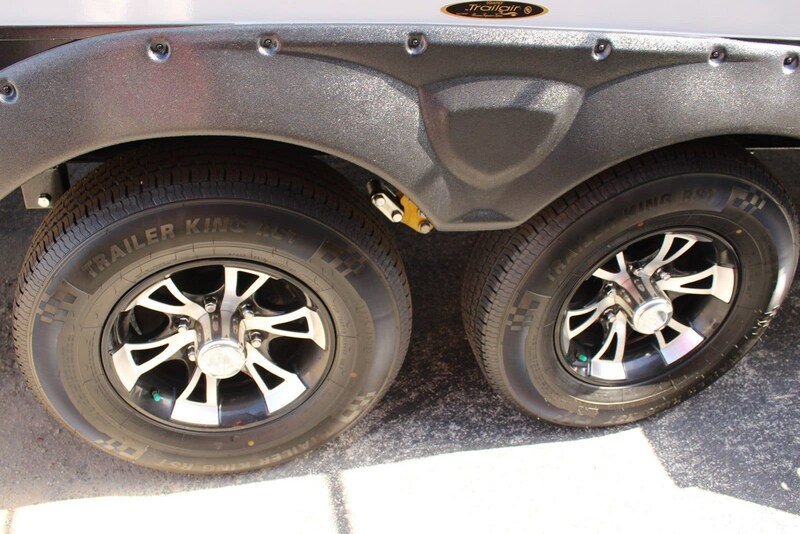 This single slide Sportsmen Sportster 301THR Travel trailer by KZ has everything you and your family are looking for!When you enter the toy hauler directly in front of the door is your full kitchen. 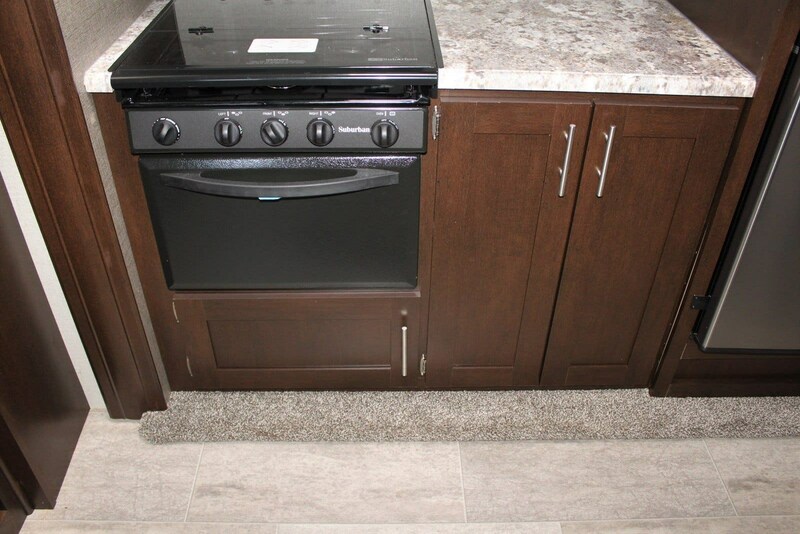 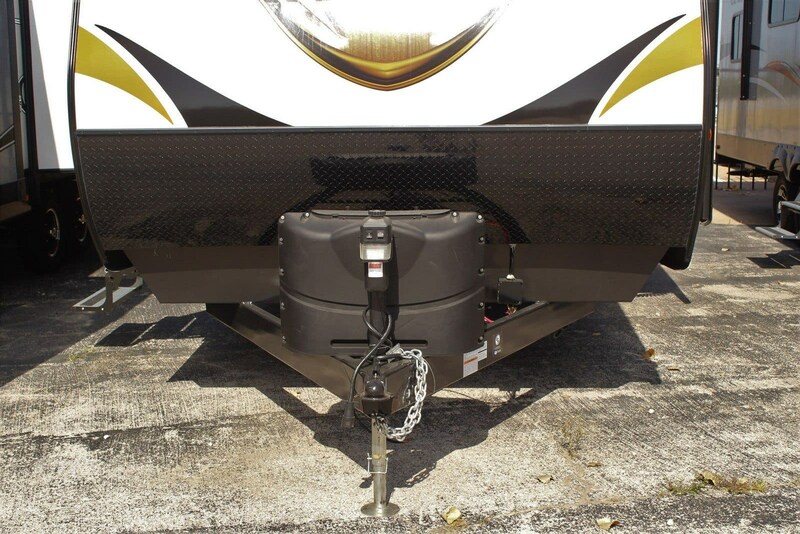 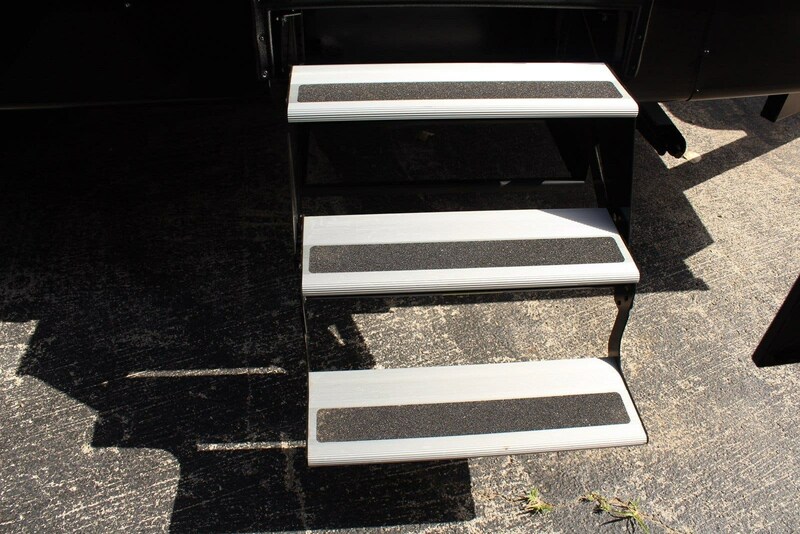 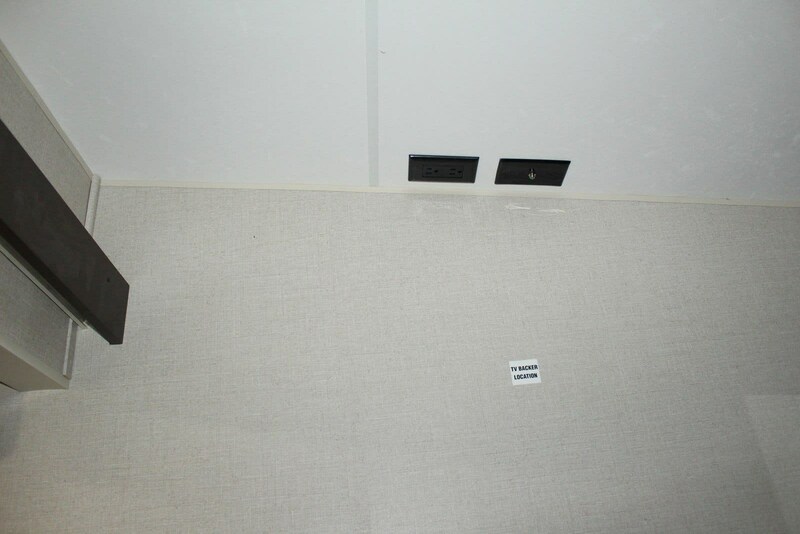 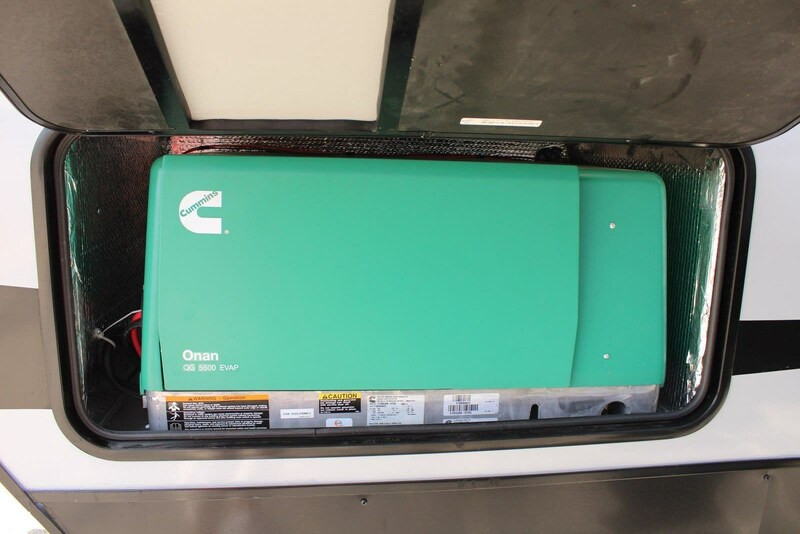 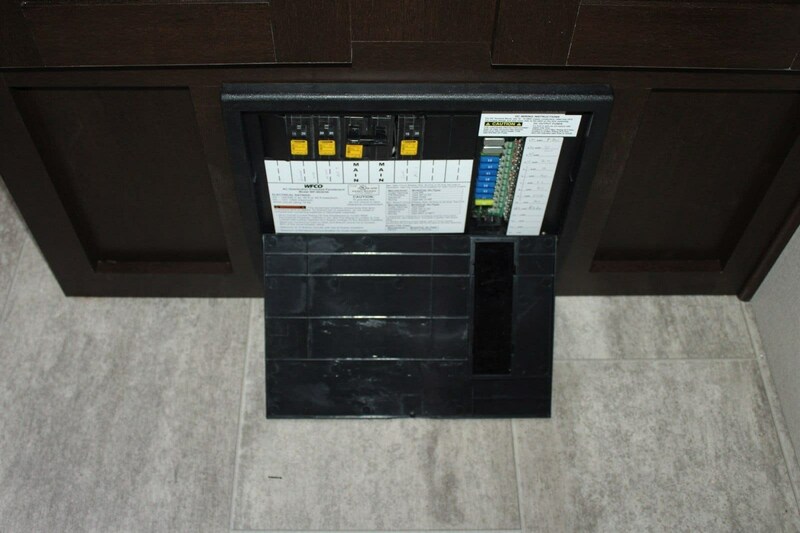 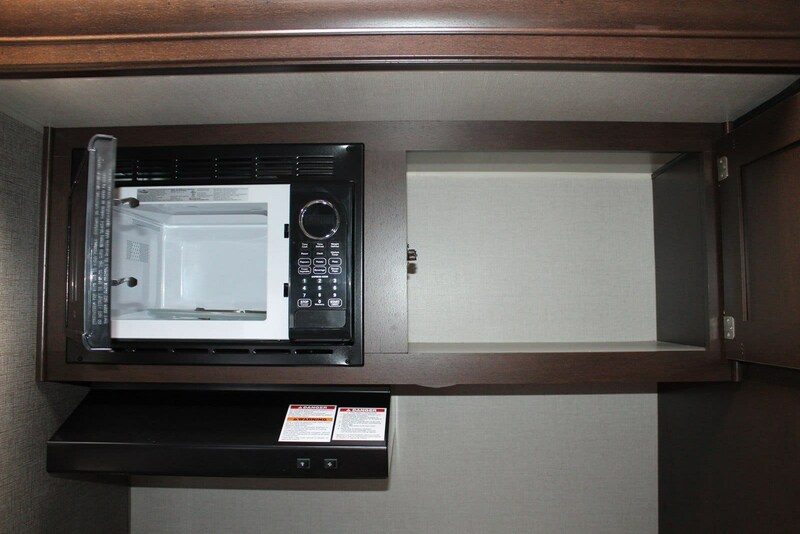 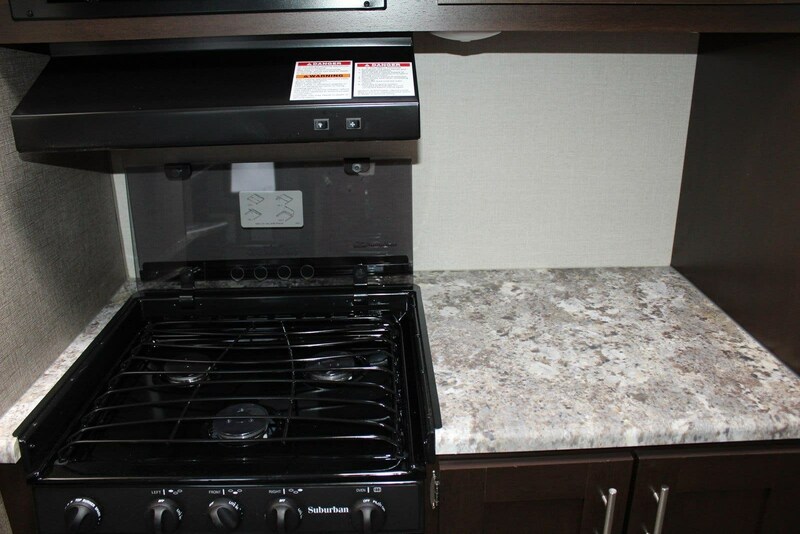 The single slide out keeps your three burner stove, overhead microwave, and refrigerator. 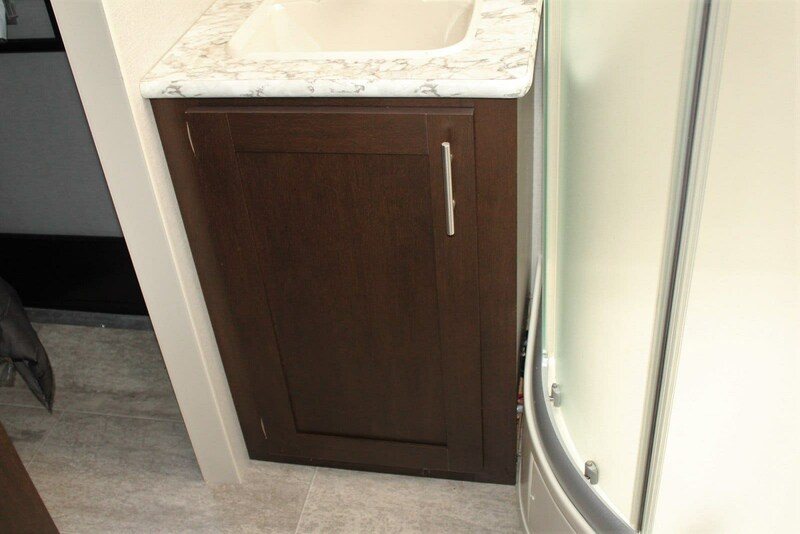 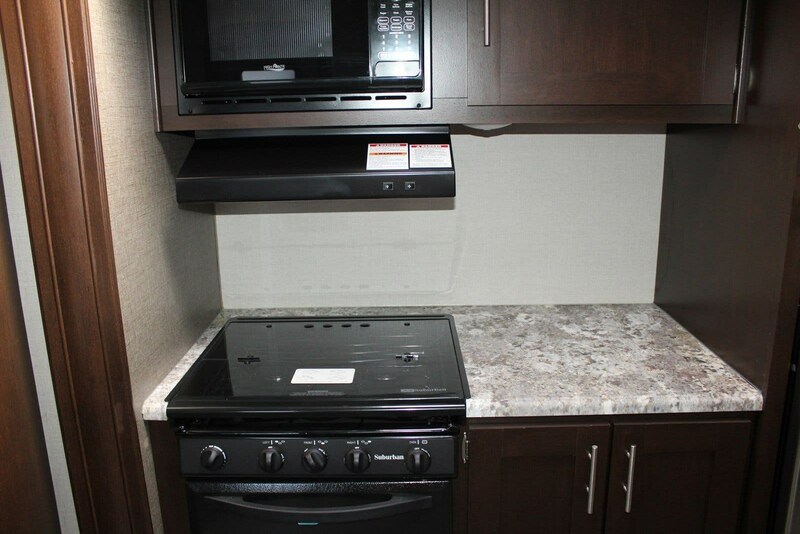 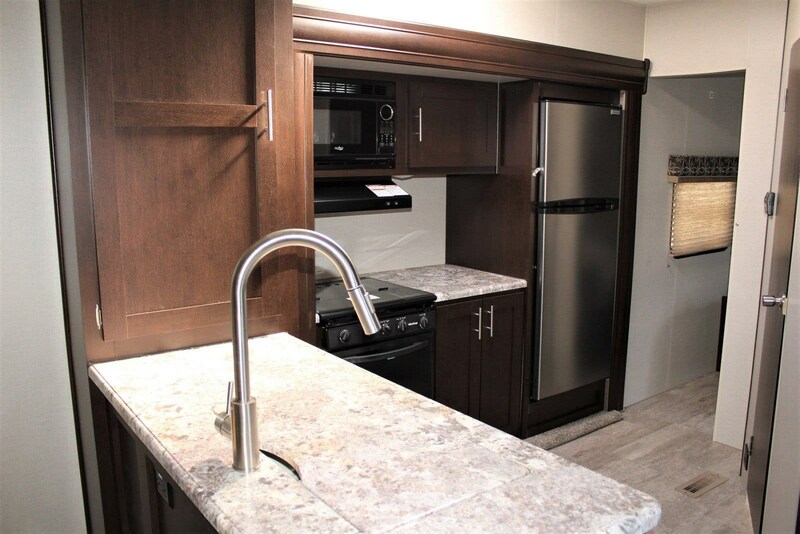 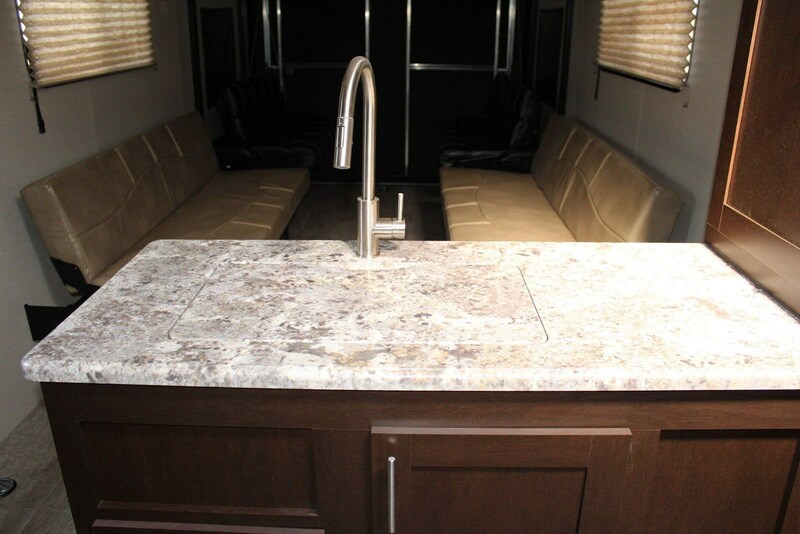 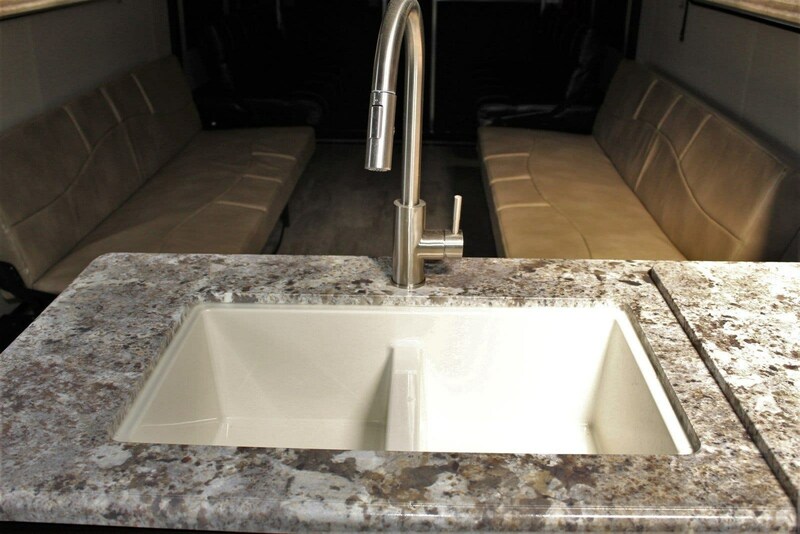 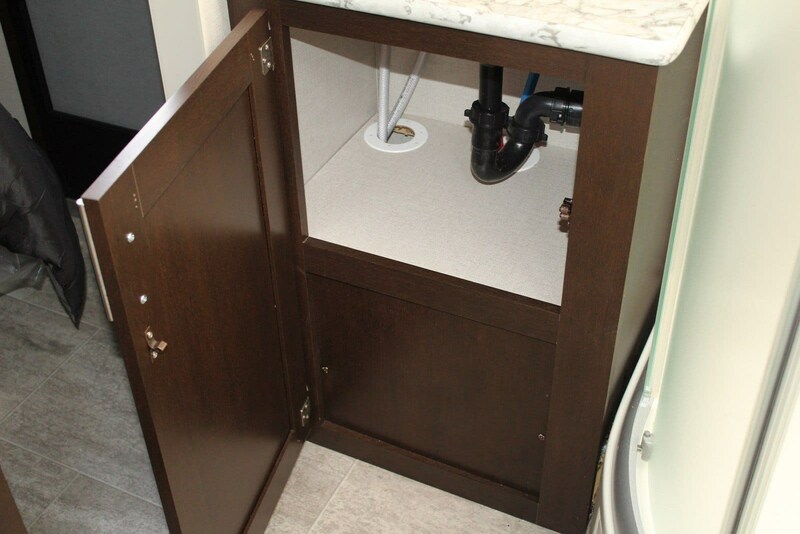 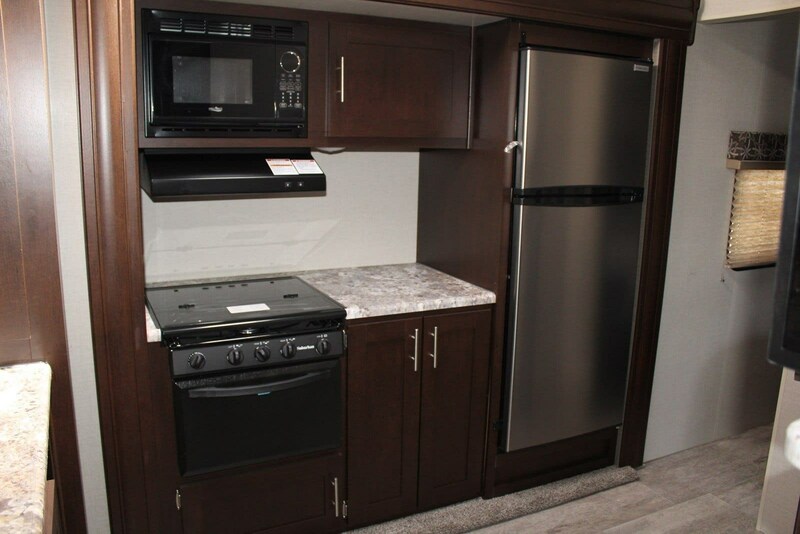 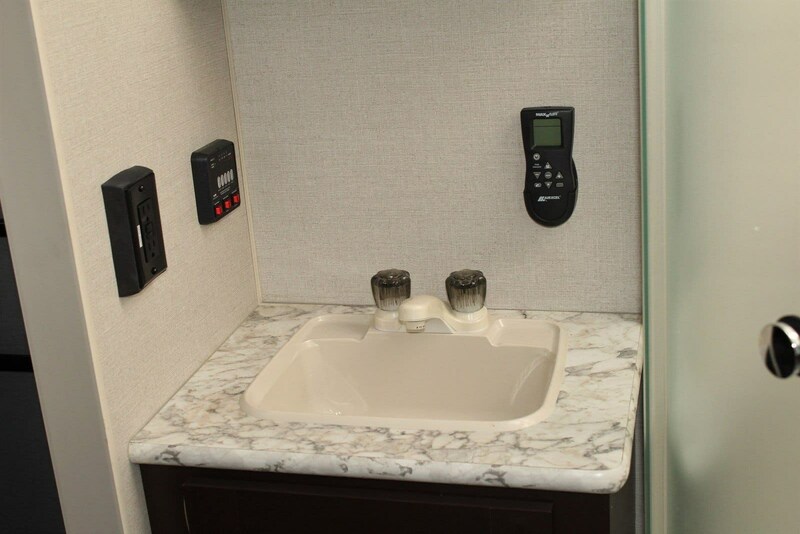 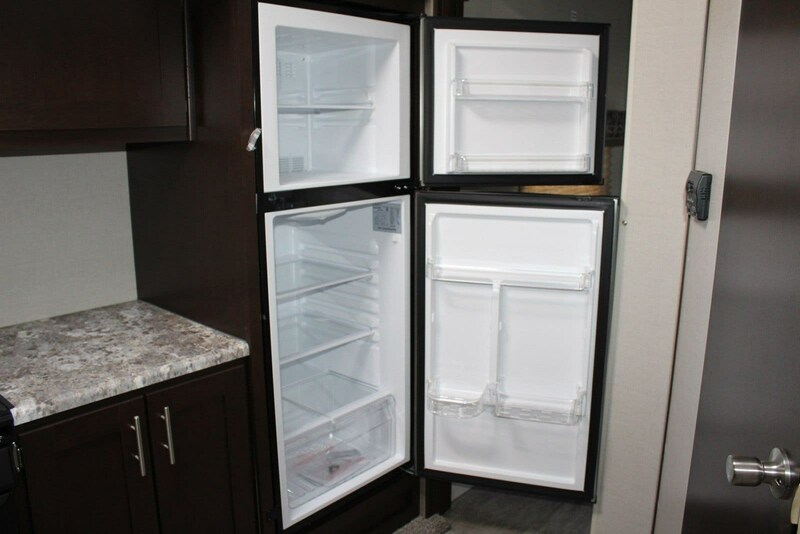 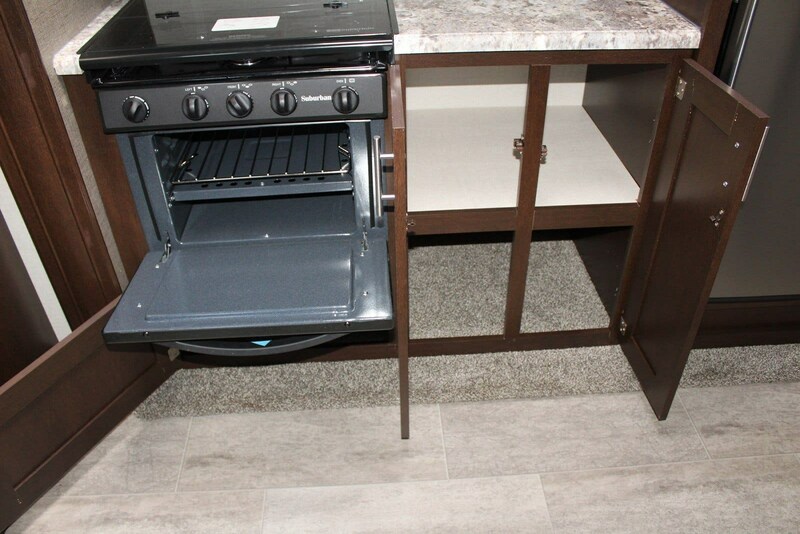 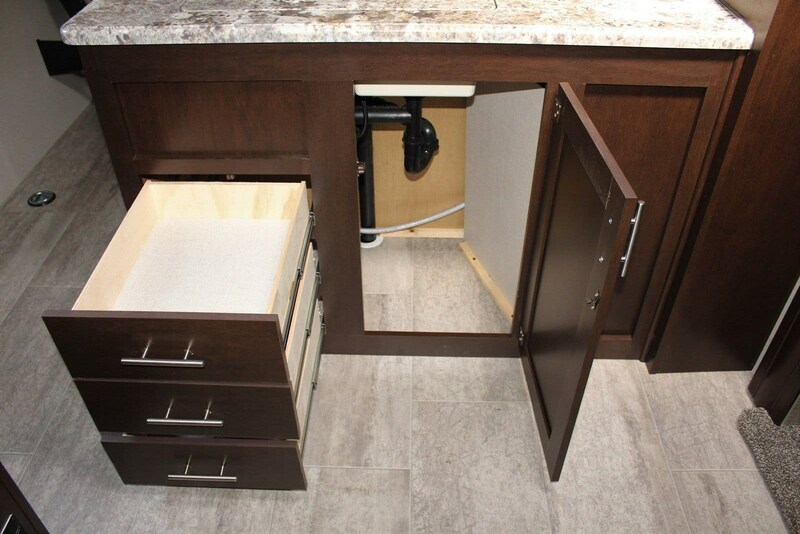 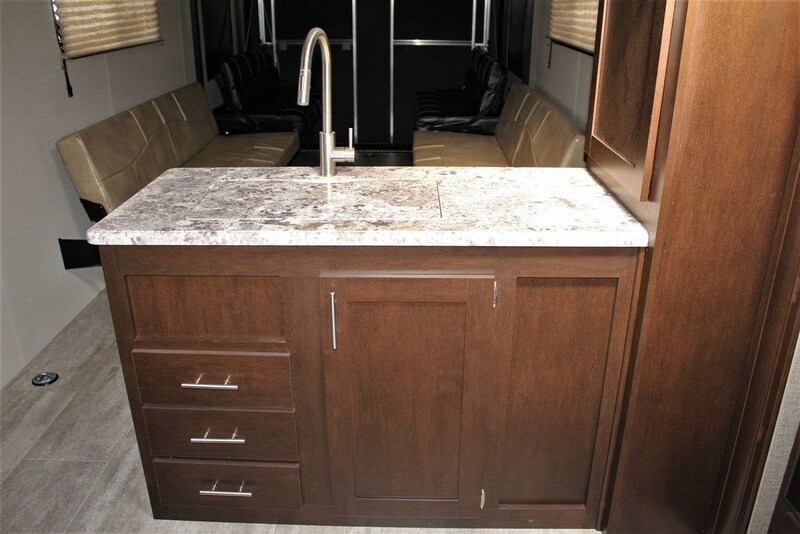 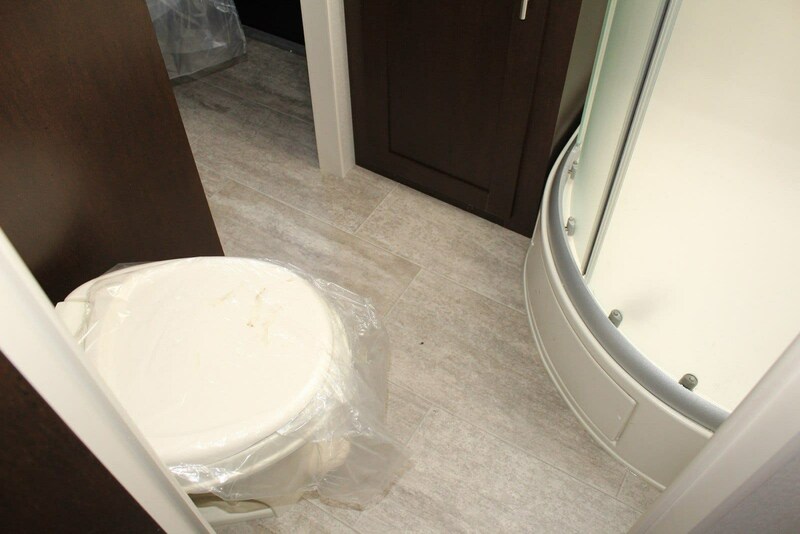 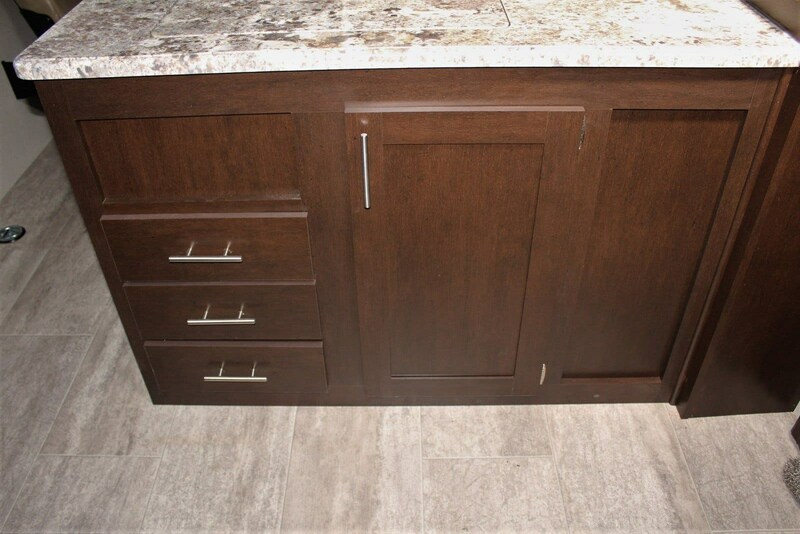 On the L-shaped counter is the double sink and pantry.Walking inside the toy hauler you will see the 15' cargo area which contains your living room. 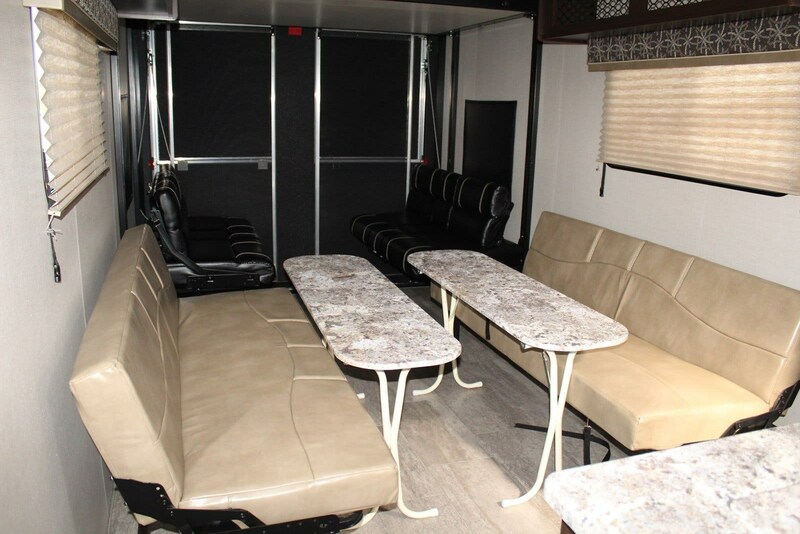 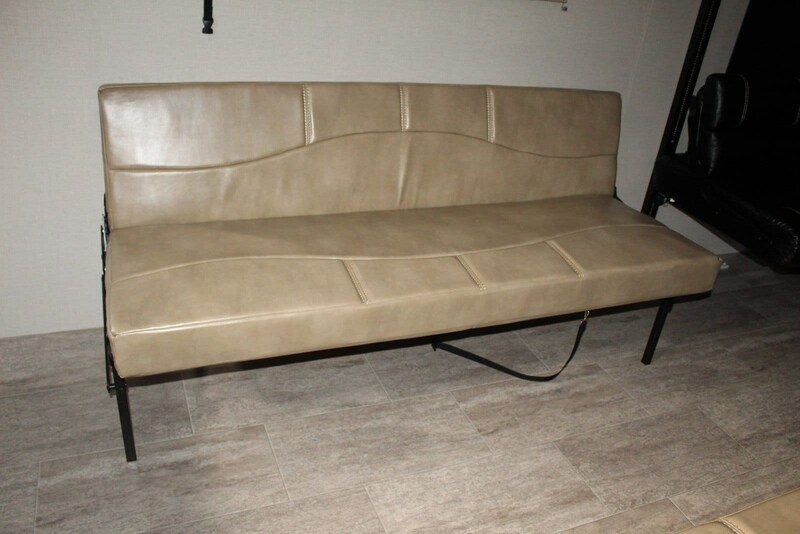 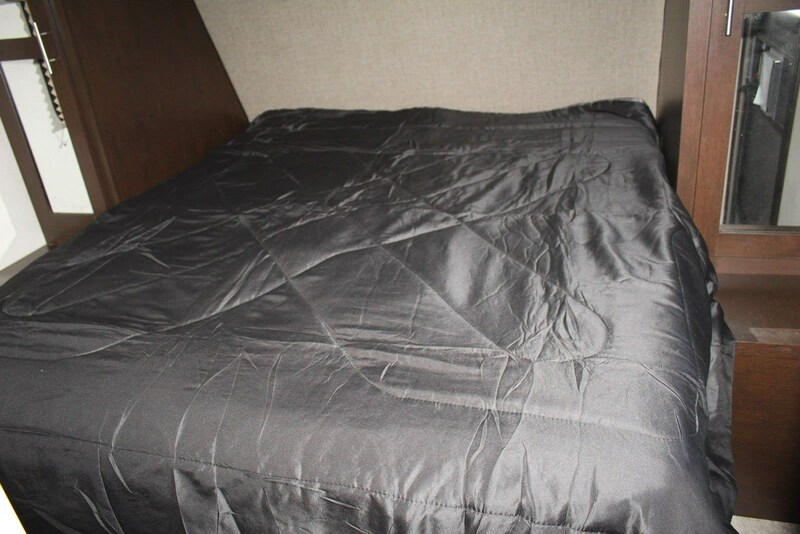 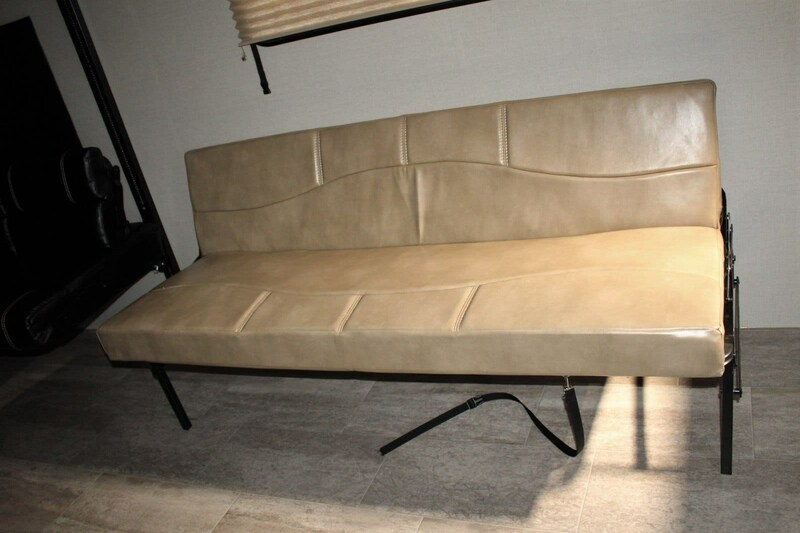 It offers two 72 rollover sofas and an option for a sit and sleep power bed. 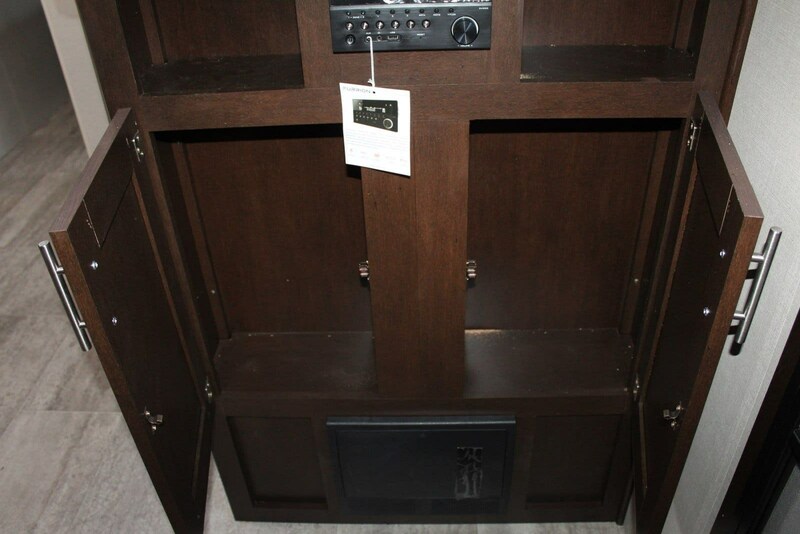 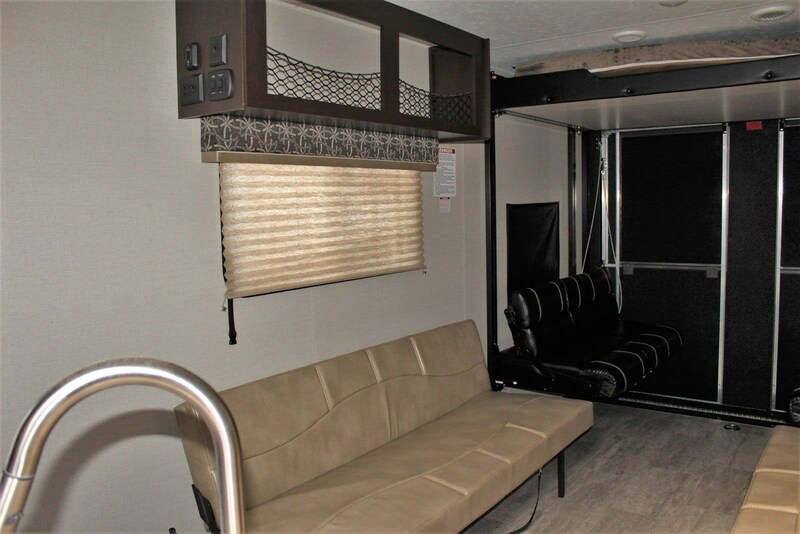 There is also an entertainment center adjacent from the kitchen, perfect for viewing from the living room.Across from the kitchen is the fully equipped bathroom with a corner glass shower, foot flush toilet and sink. 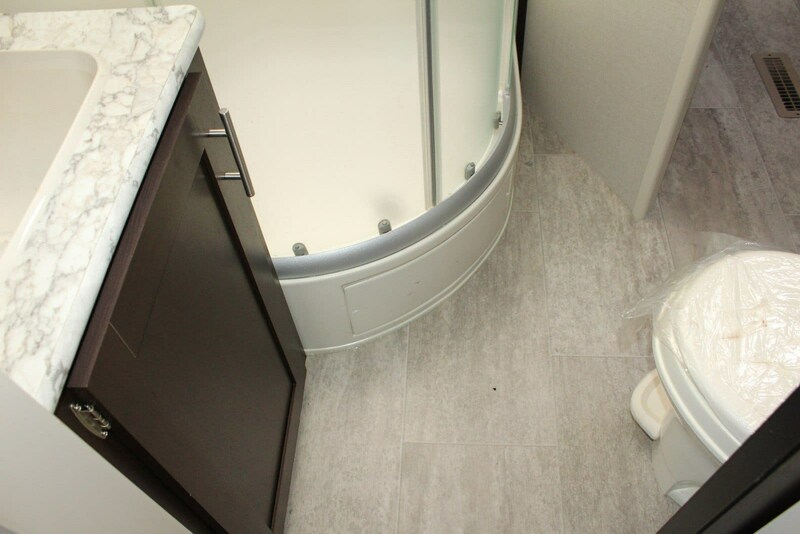 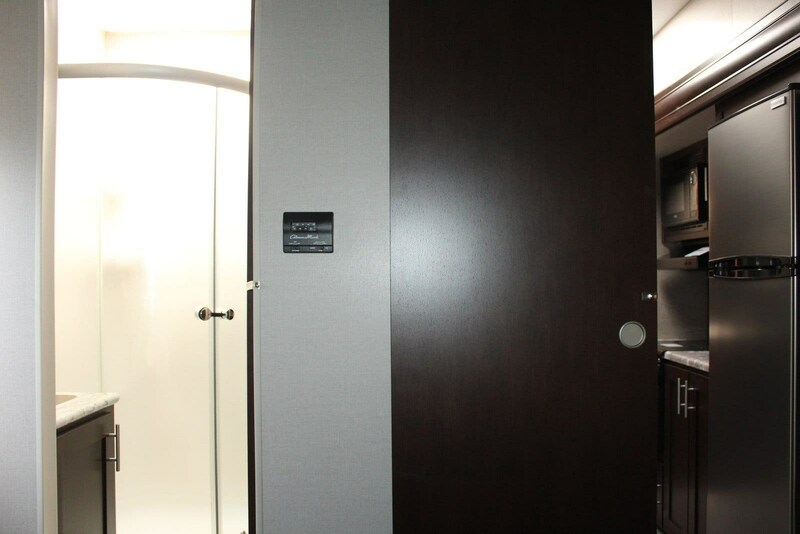 The bathroom also gives you access to the master bedroom.Once in your master bedroom, you have a Queen bed, closets on each end along with an entry door. 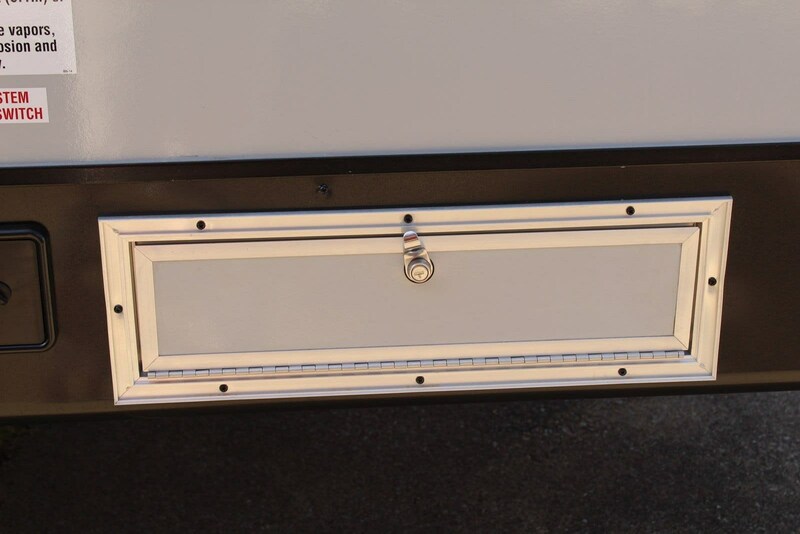 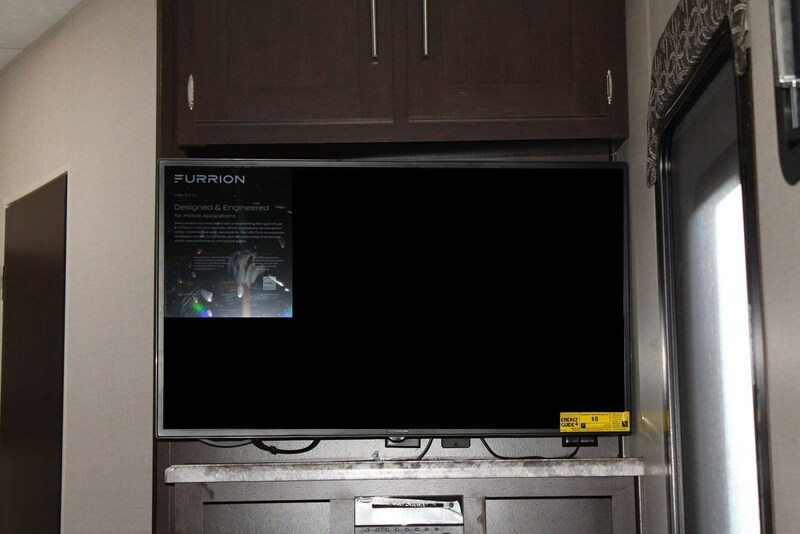 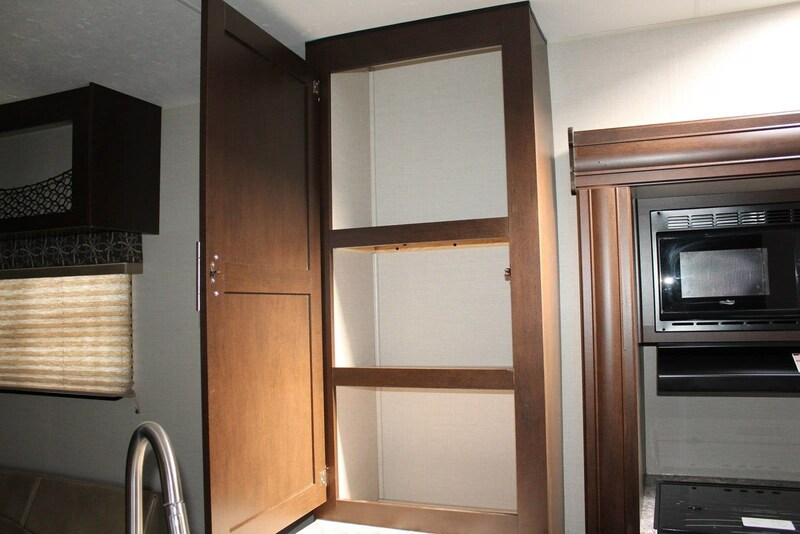 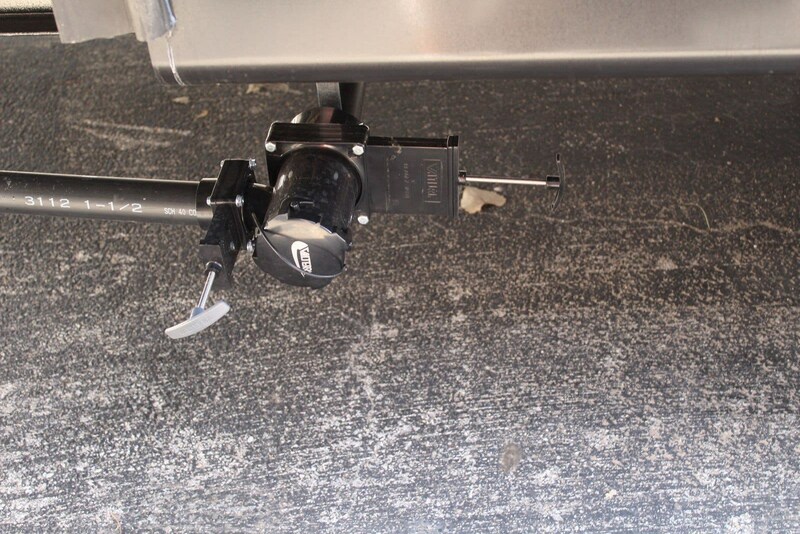 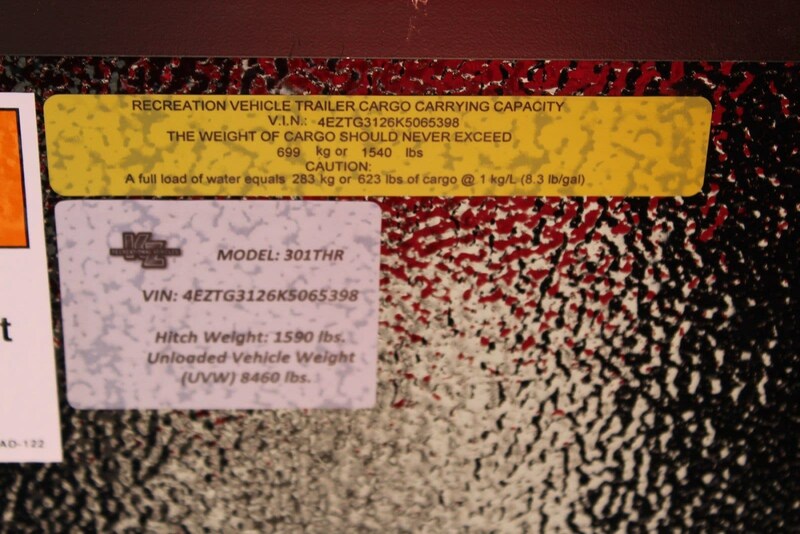 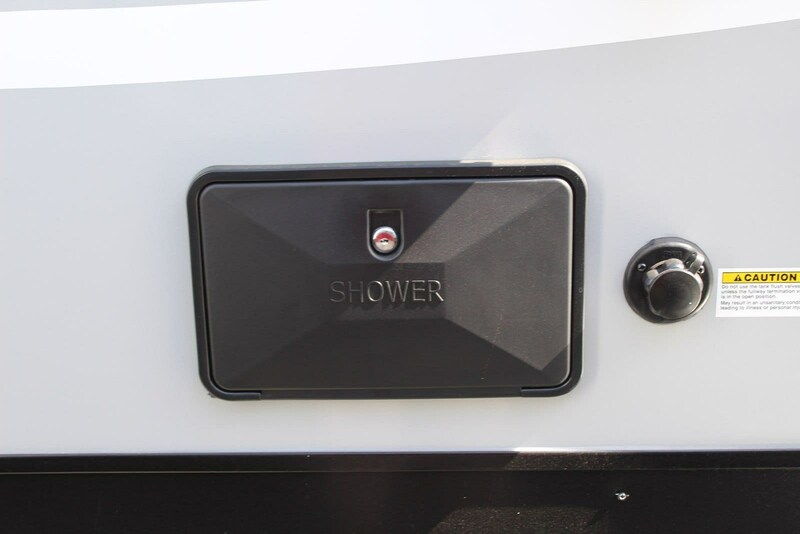 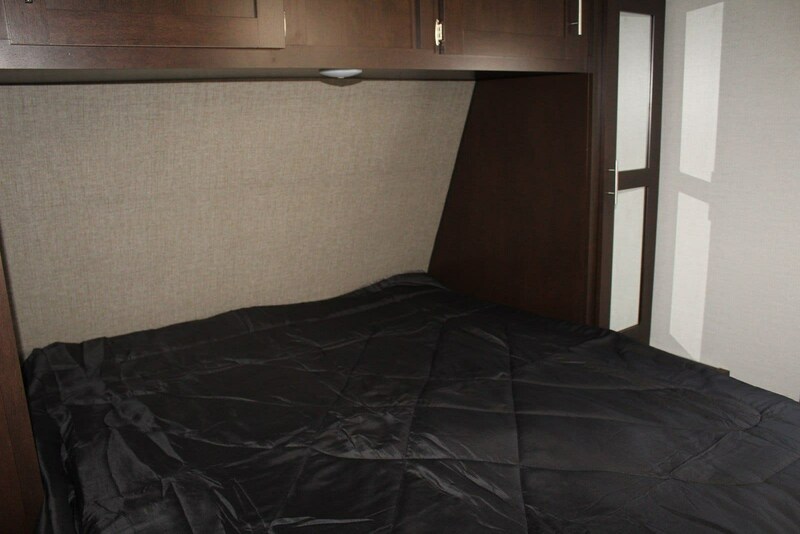 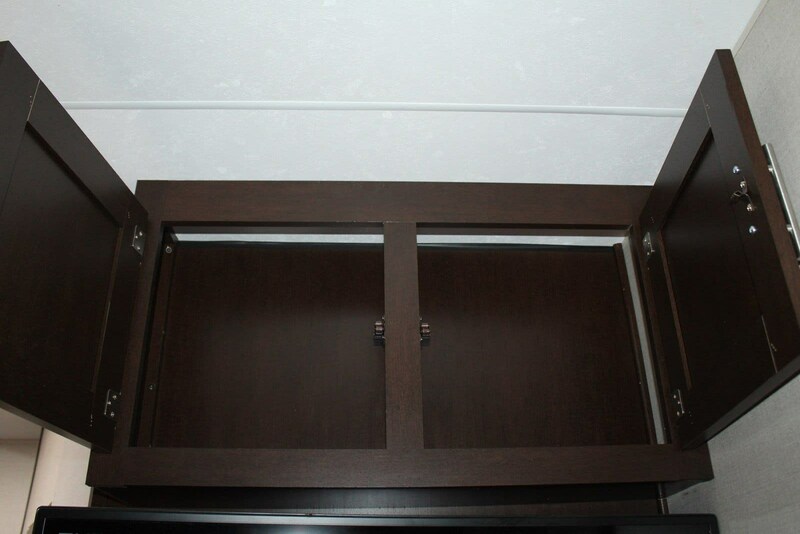 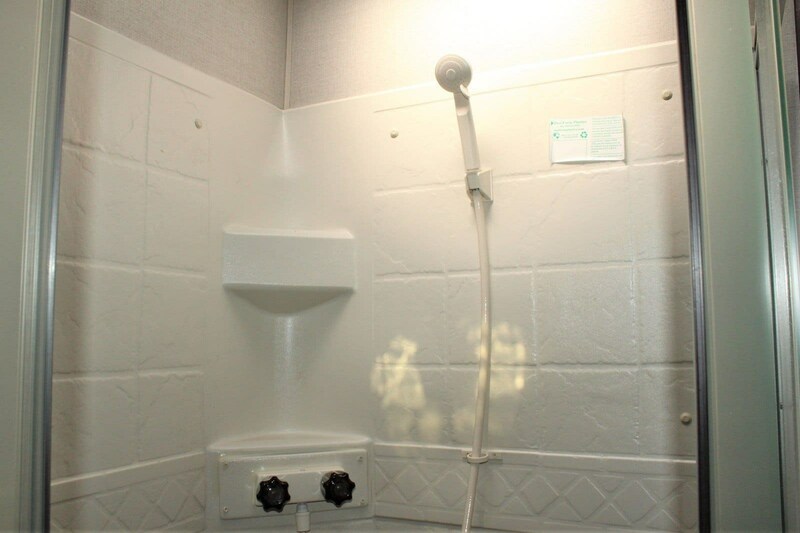 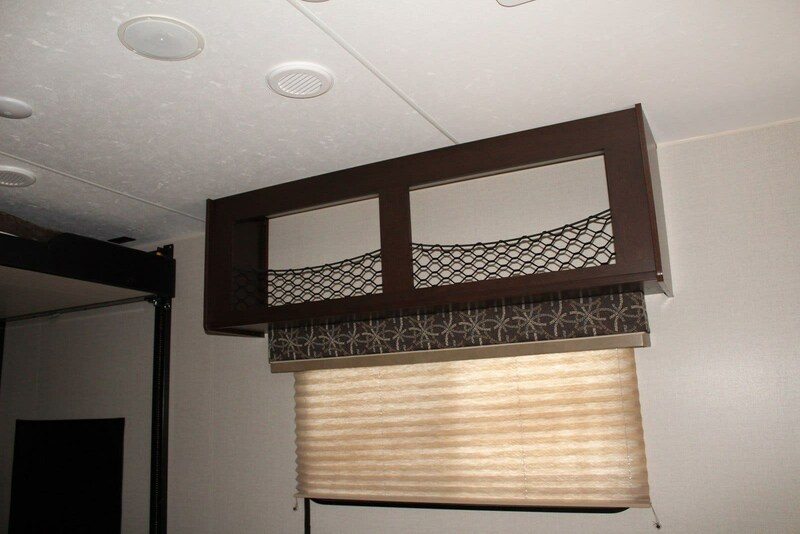 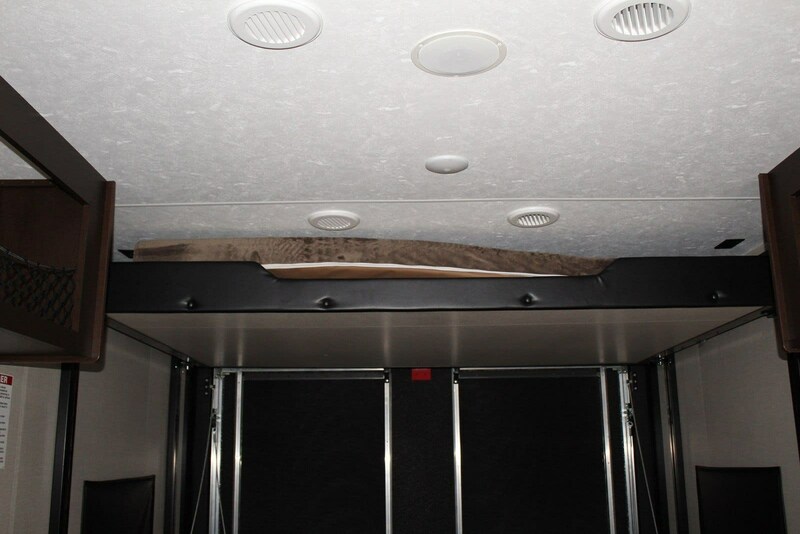 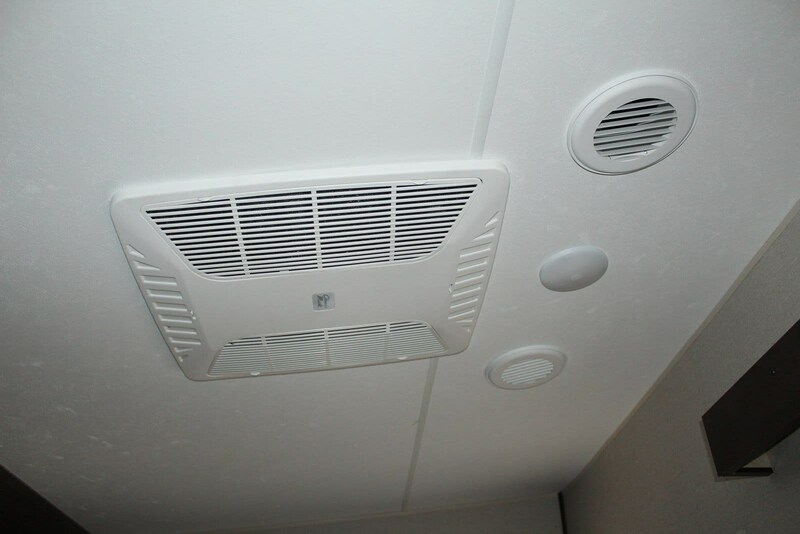 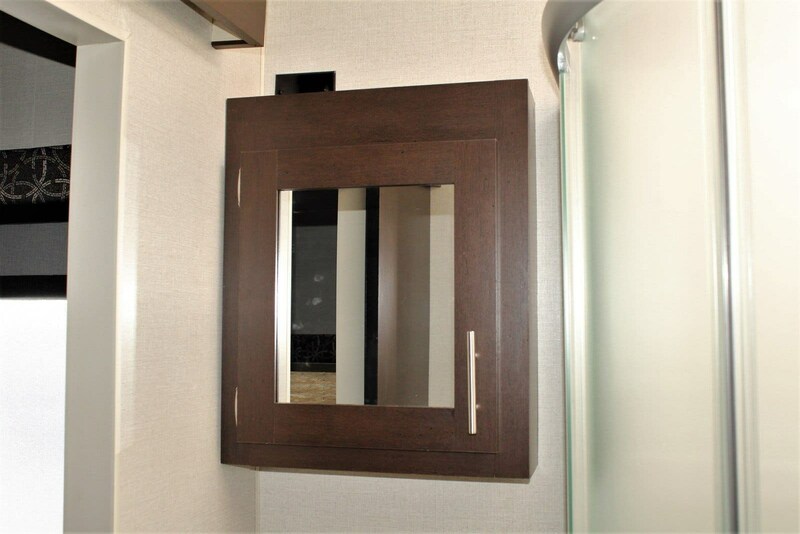 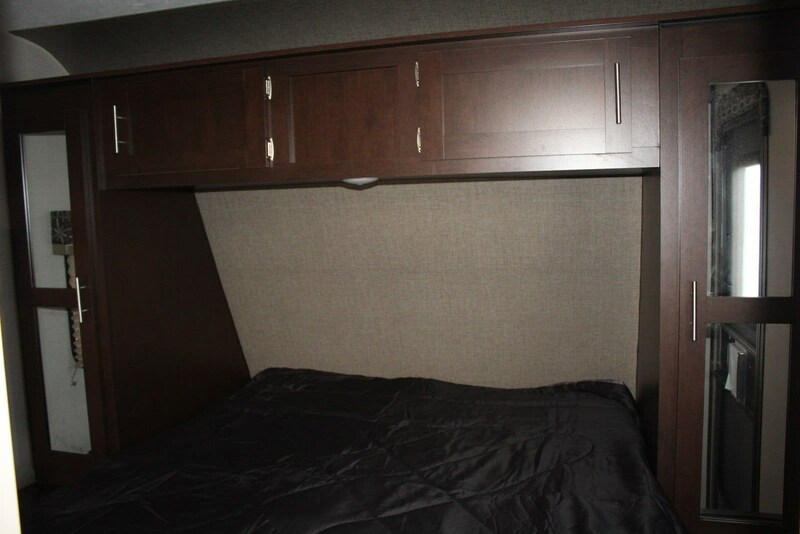 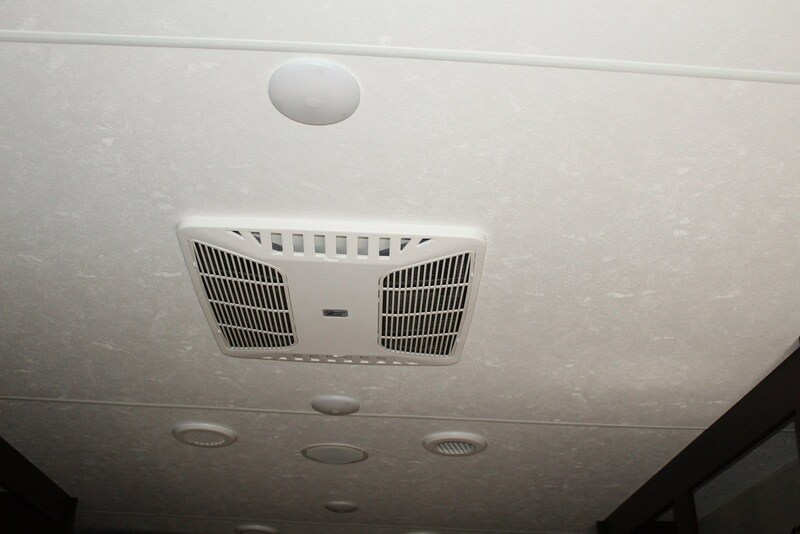 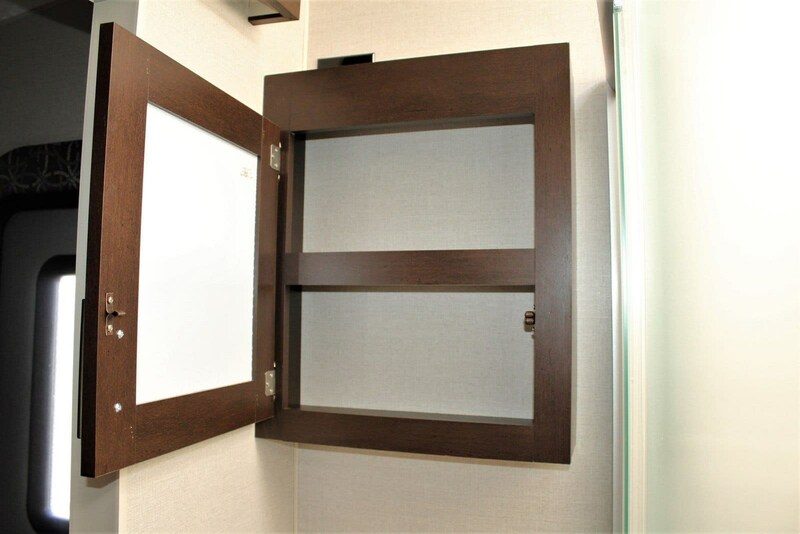 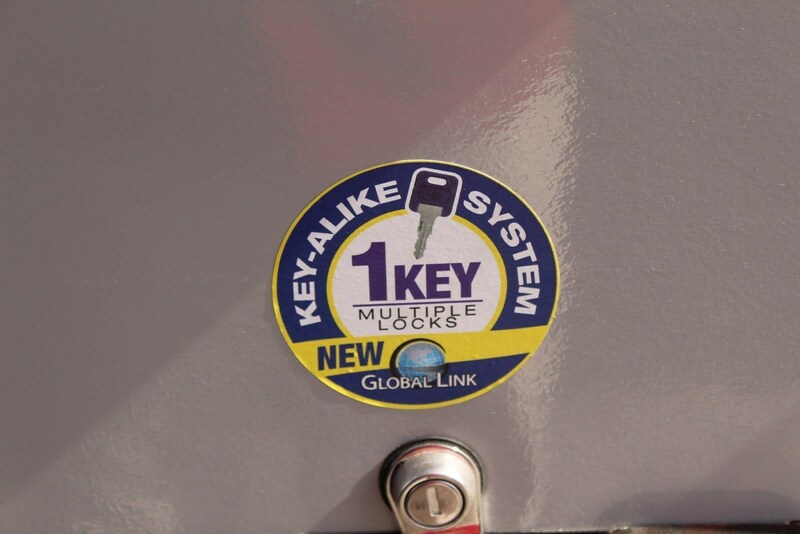 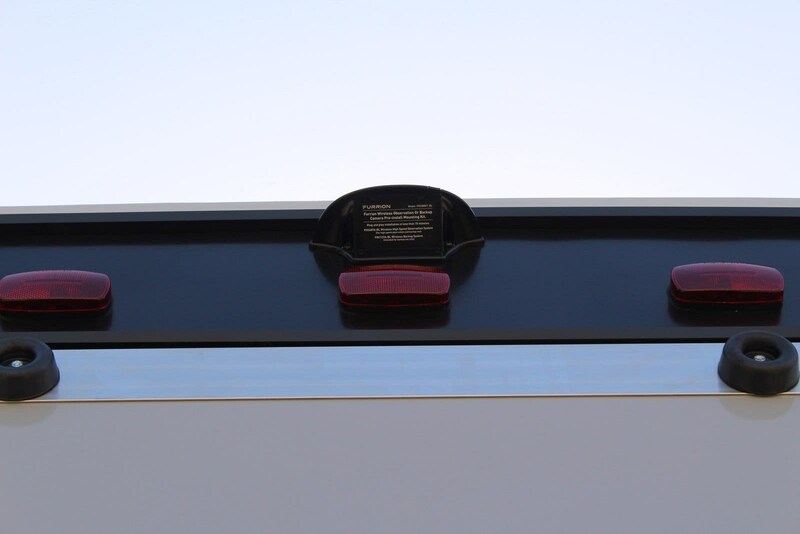 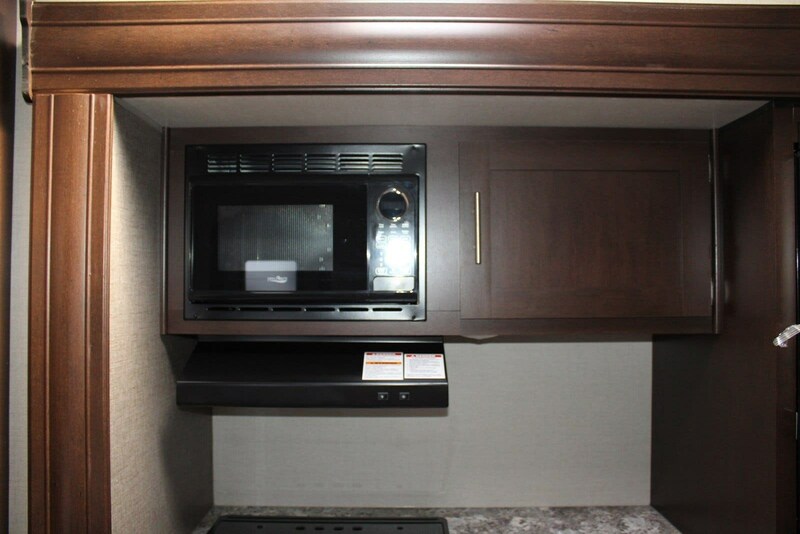 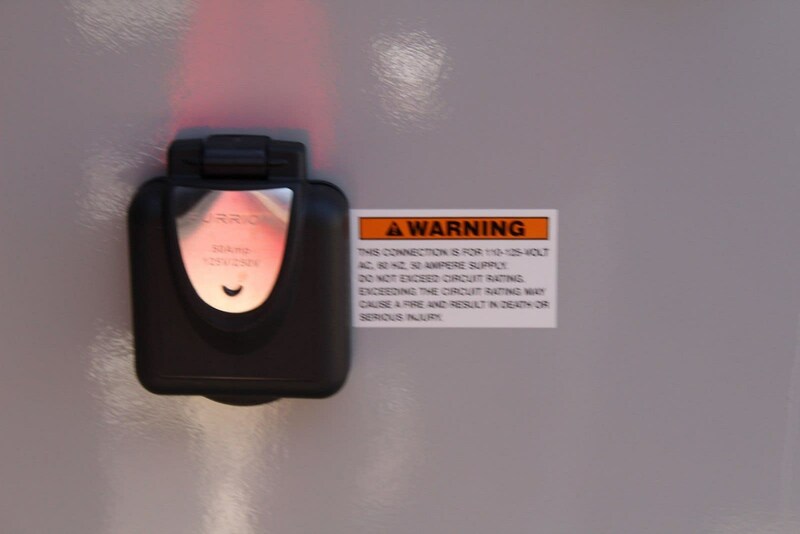 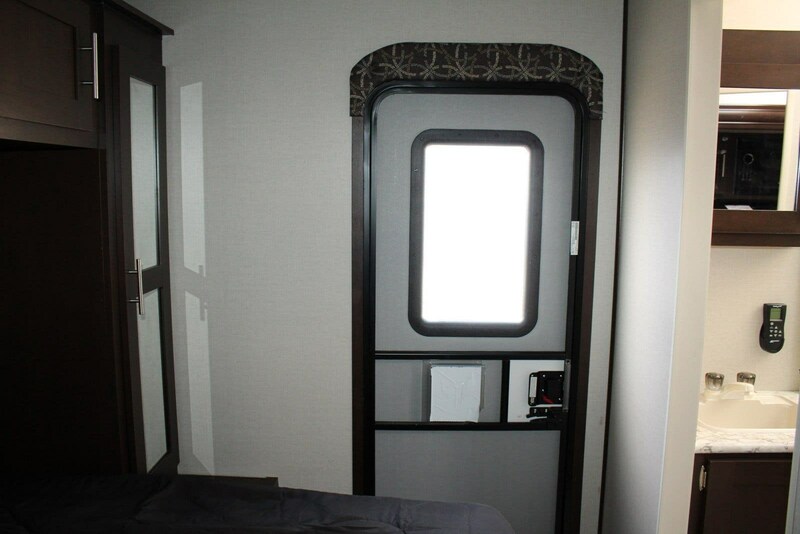 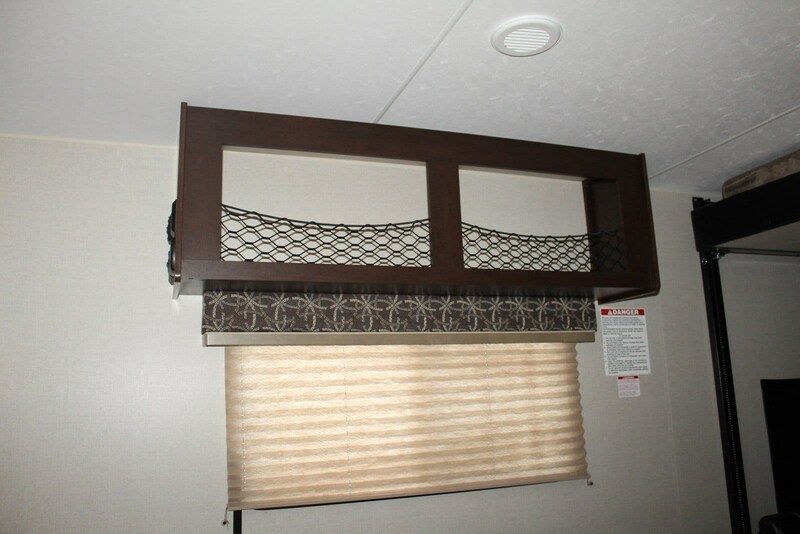 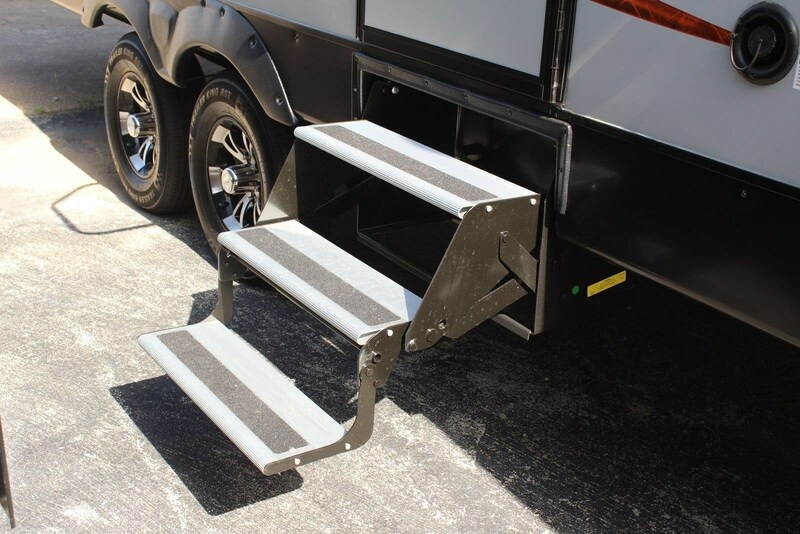 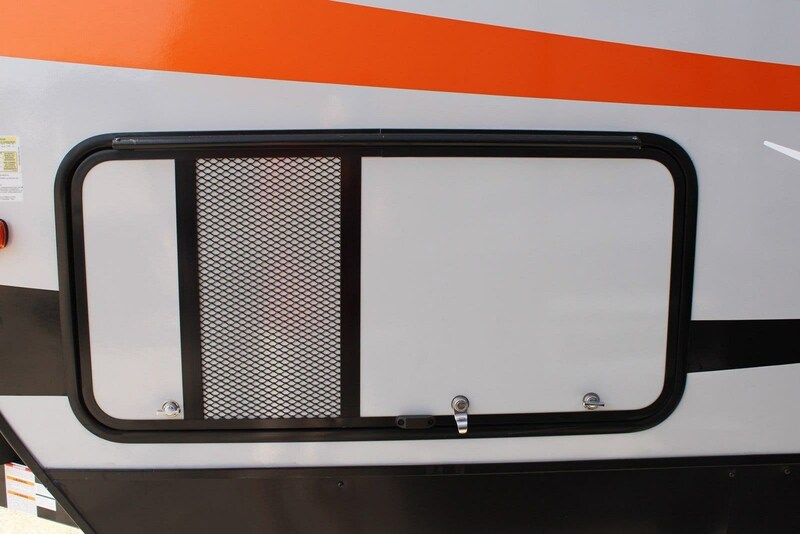 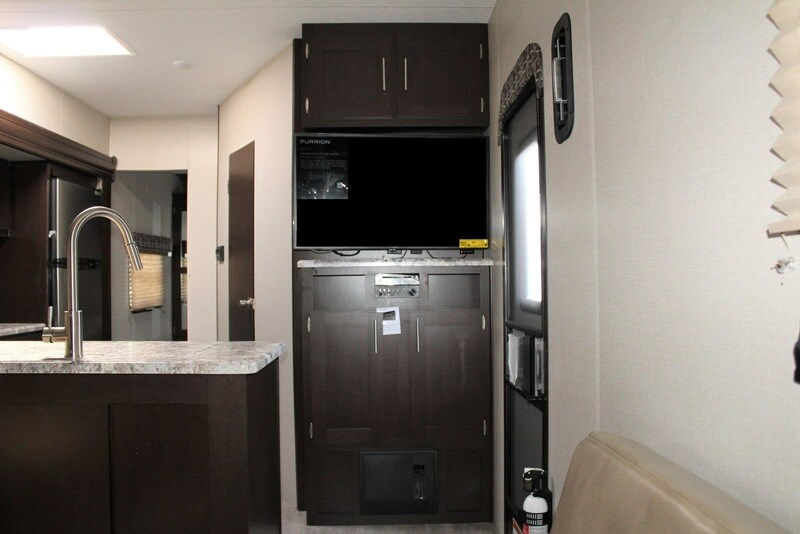 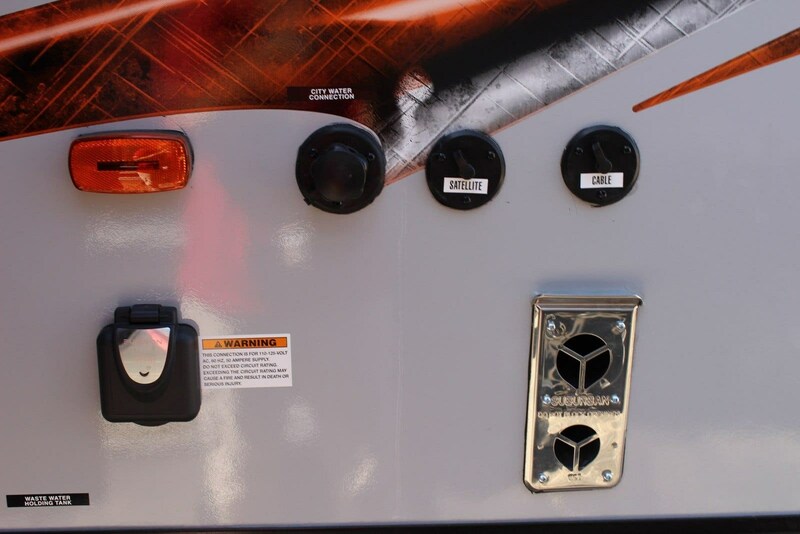 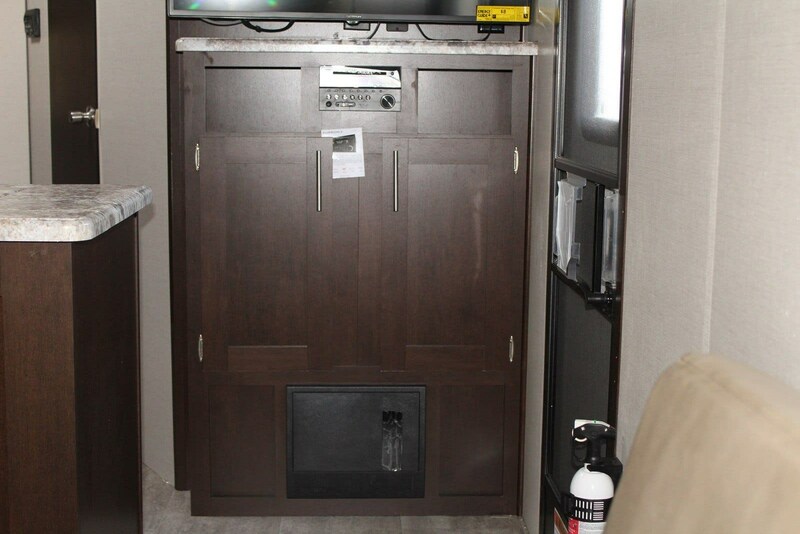 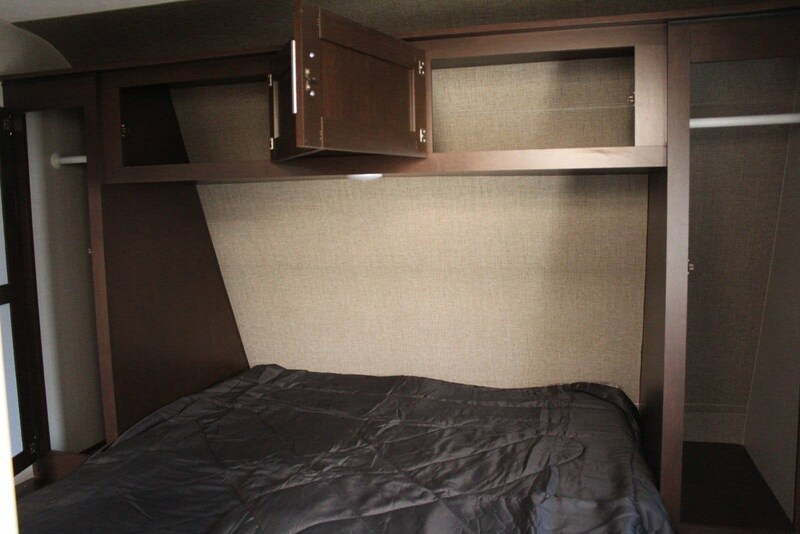 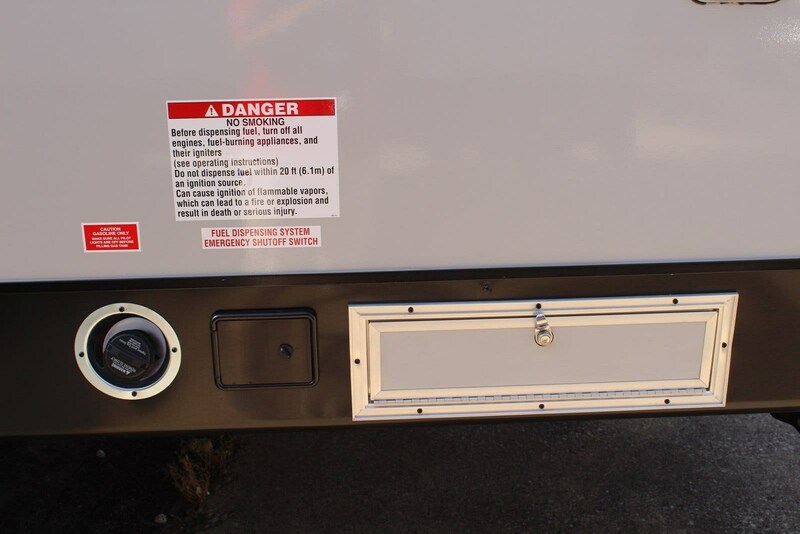 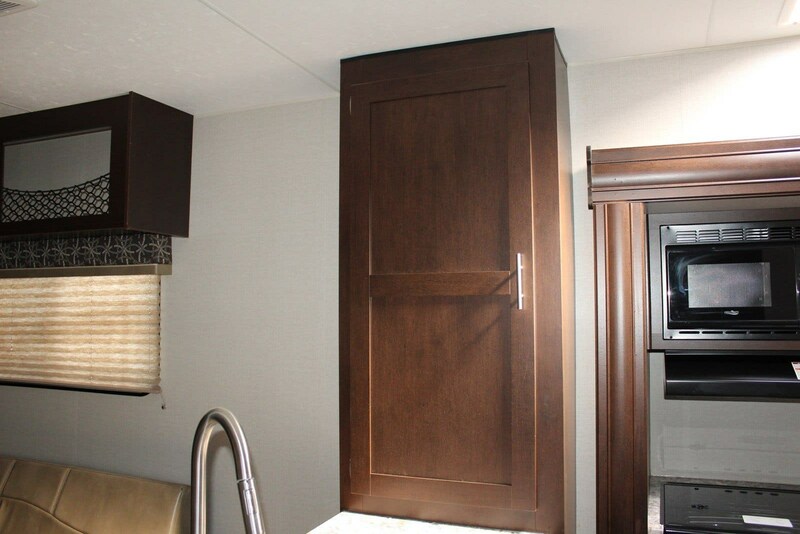 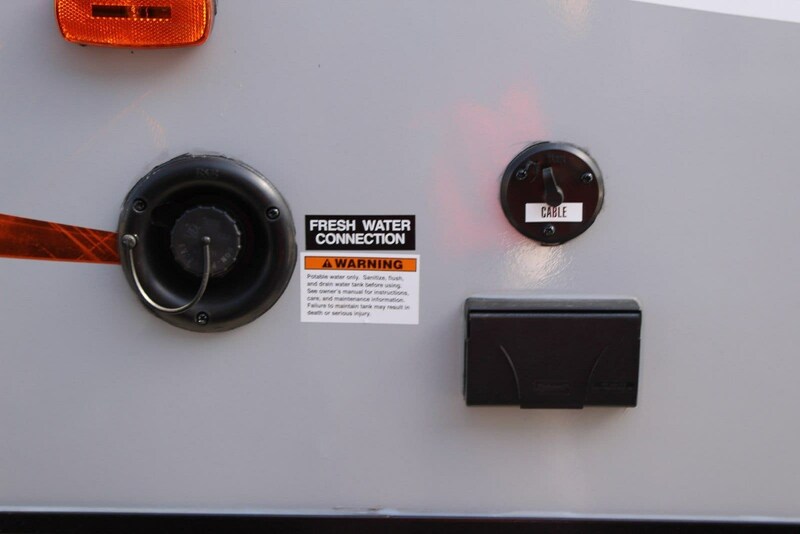 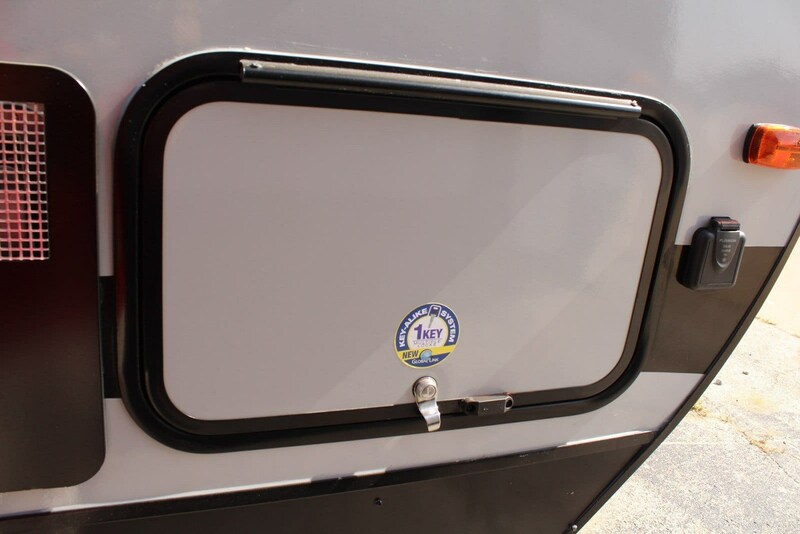 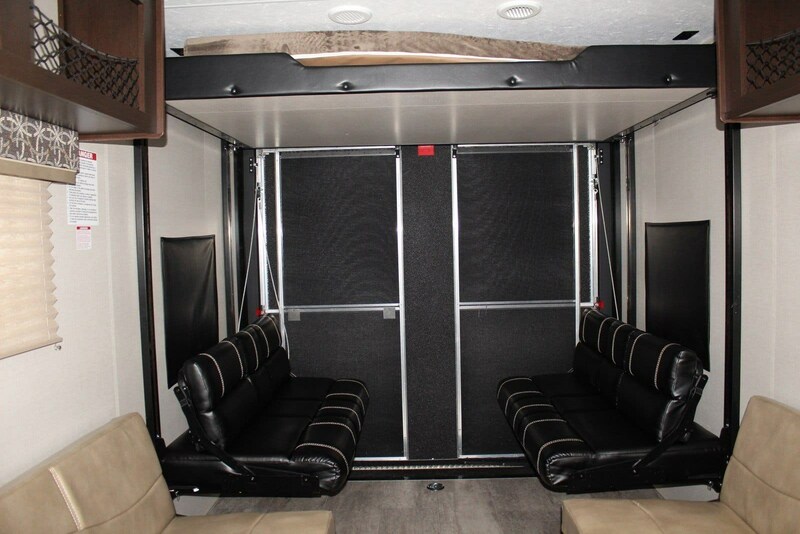 There is also a TV mount on the wall beside the entry door.The 88 X 88 1/4 ramp door opens up to let you in the toy hauler from the back.This toy hauler is perfect so call or come in today! 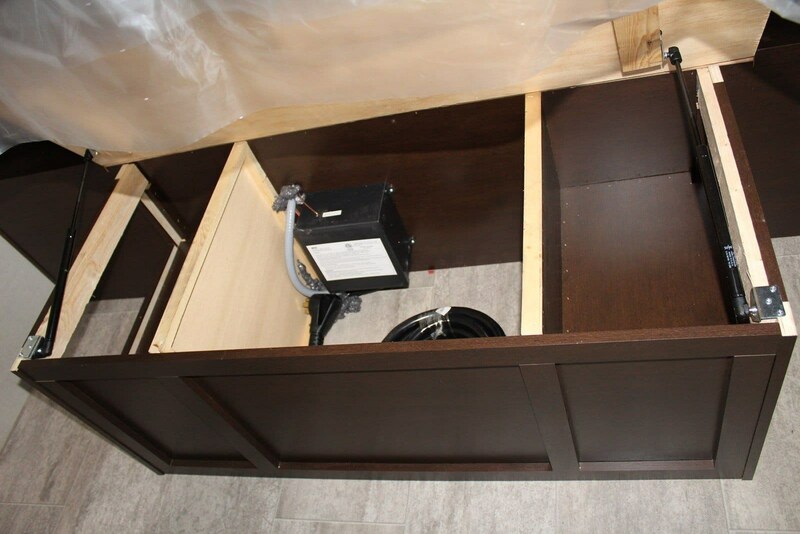 Pictures don't do it justice!Length: 34ft 11inHeight: 12ft 3 inFresh Water Tank: 75 gal.Black Water Tank: 32 gal.Grey Water Tank: 32 gal. 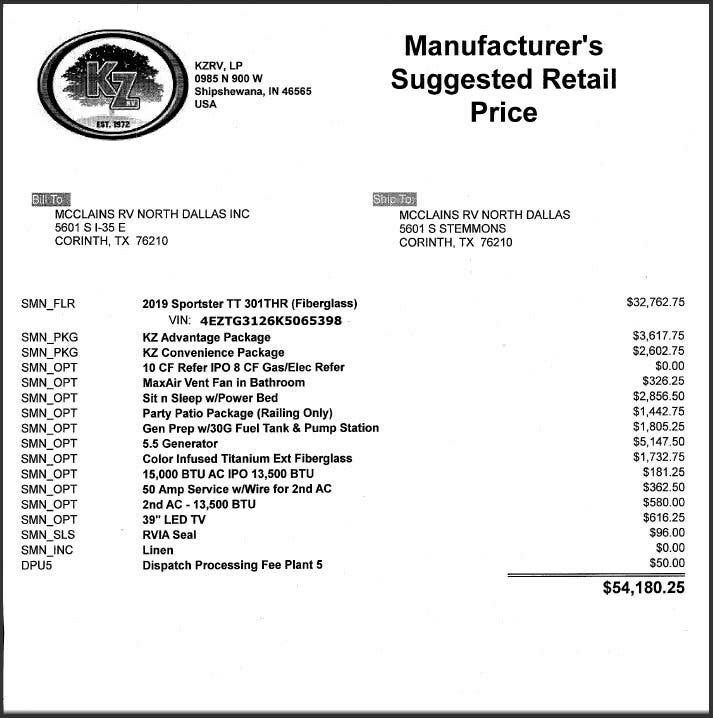 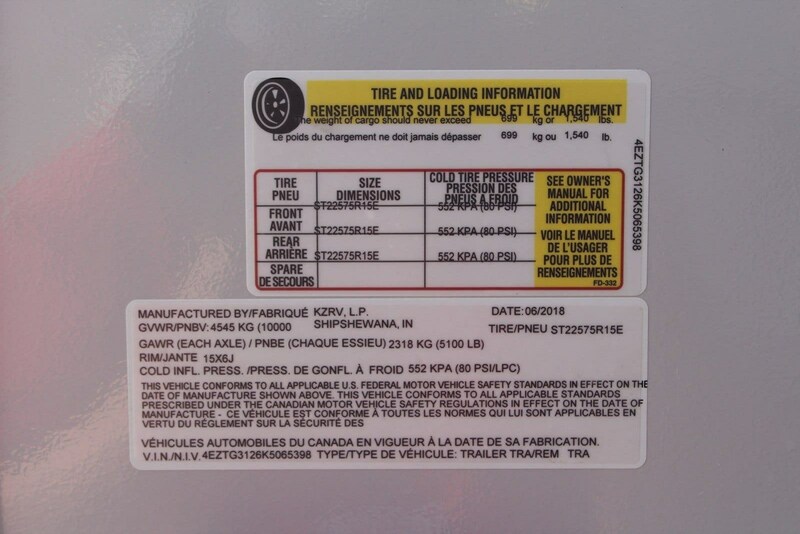 Check out Stock # 89040 - 2019 K-Z Sportster on kzrvsource.com!